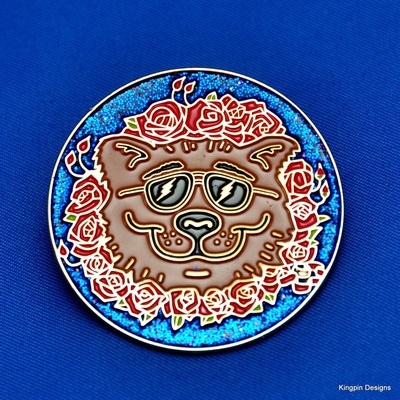 Series 1 is completely sold out!! 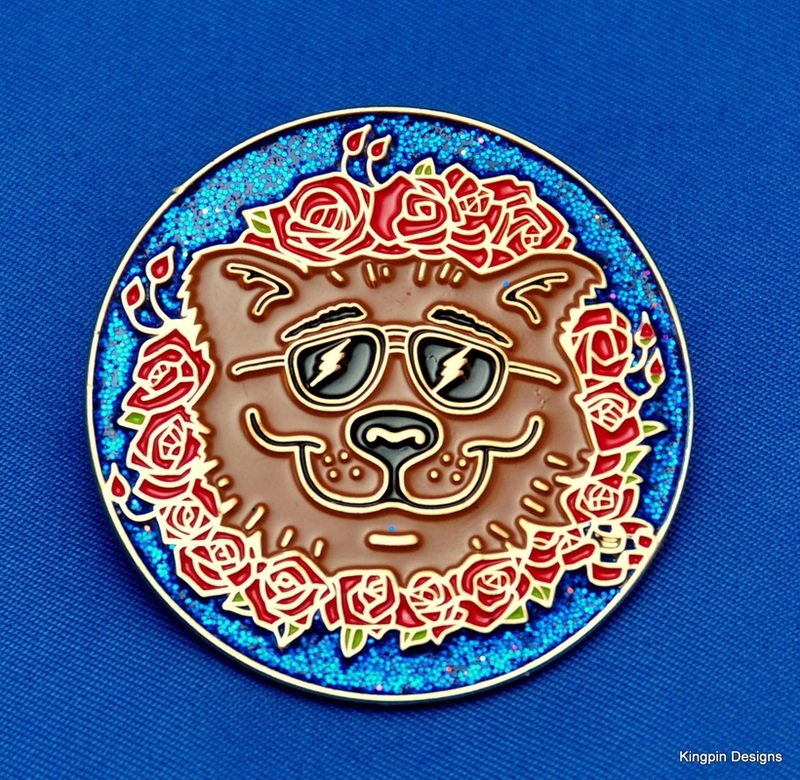 A huge thanks you to all who purchased the first series of the exclusive, officially licensed Stanley Mouse Collectors Editions pins!! We have sold out of all complete sets, and all of the individual pins! 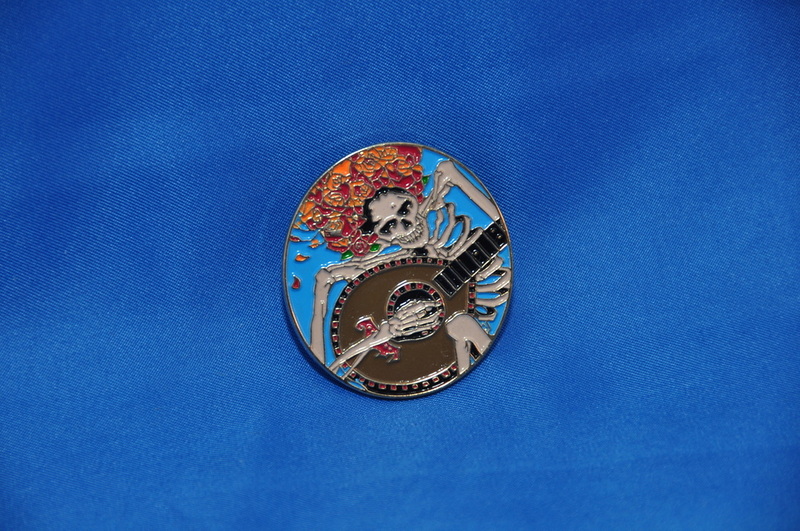 But fear not, Series 2 and 3 are available now!!. 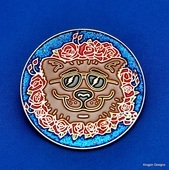 Thanks everyone!! 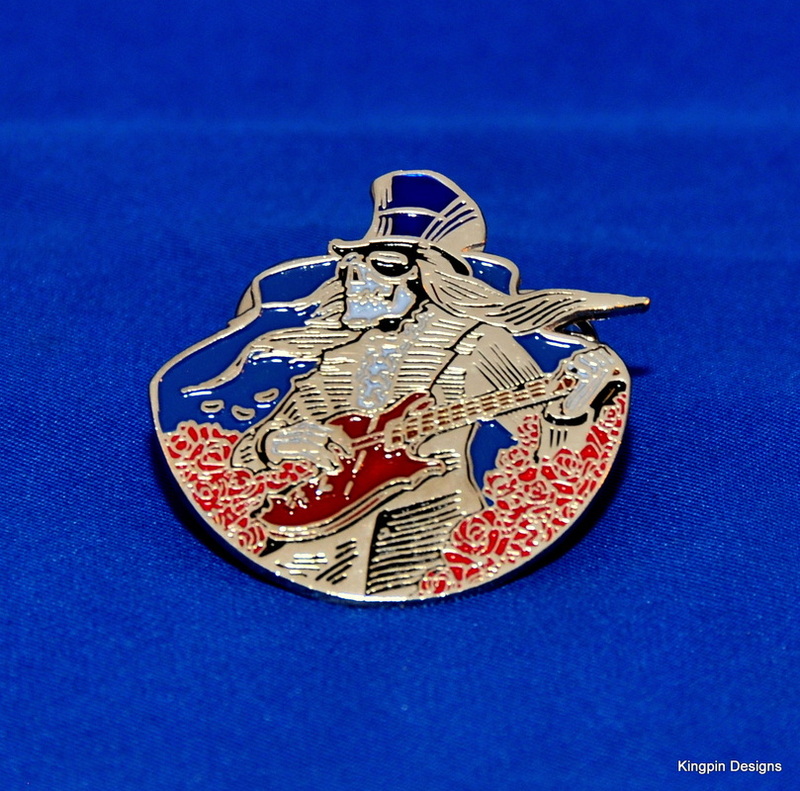 Each pin is produced in a limited series of 500, never to be produced again. 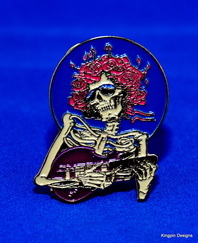 We only have 100 matched and numbered sets (you receive one of each of the 5 pins, all with matching numbers) offered through this website, although Tripp Shealy also has them for sale at his website www.tripps-prints.com as well as in person if you can find him. Shipping is set at $5 on all orders, and all orders are strictly limited to 2 sets. Unfortunately I can not fulfill requests for specific numbers, as these pins will be sold in a first come, first serve manner, with the lowest numbered set available going to the first order and so on. If you bought a matched Series 1 set from me, I will do my best to match the number from that set. 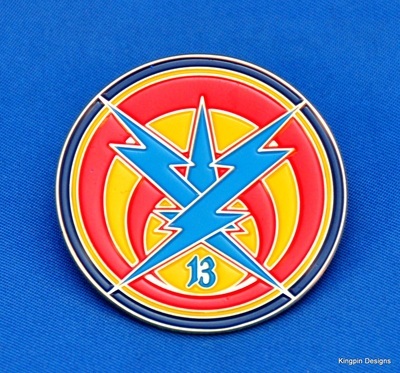 I got the same numbered sets as I did last time, so if you bought your Series 1 pins from someone else, chances are I can not match the number on it. 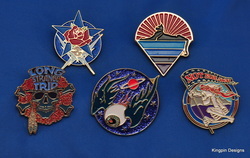 Please send me an email at showpins@gmail.com if you have a specific number request. 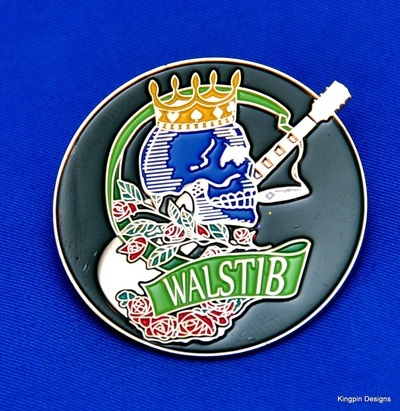 All pins are accompanied by a Certificate of Authenticity which is embossed in blue foil with the Stanly Mouse signature, and numbered to match the pin. 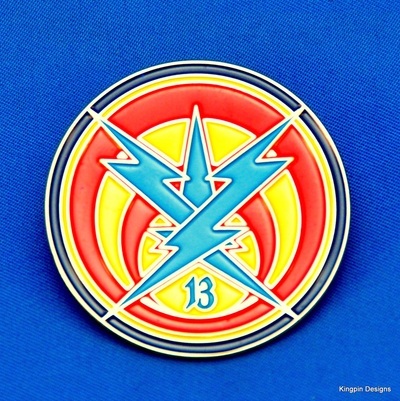 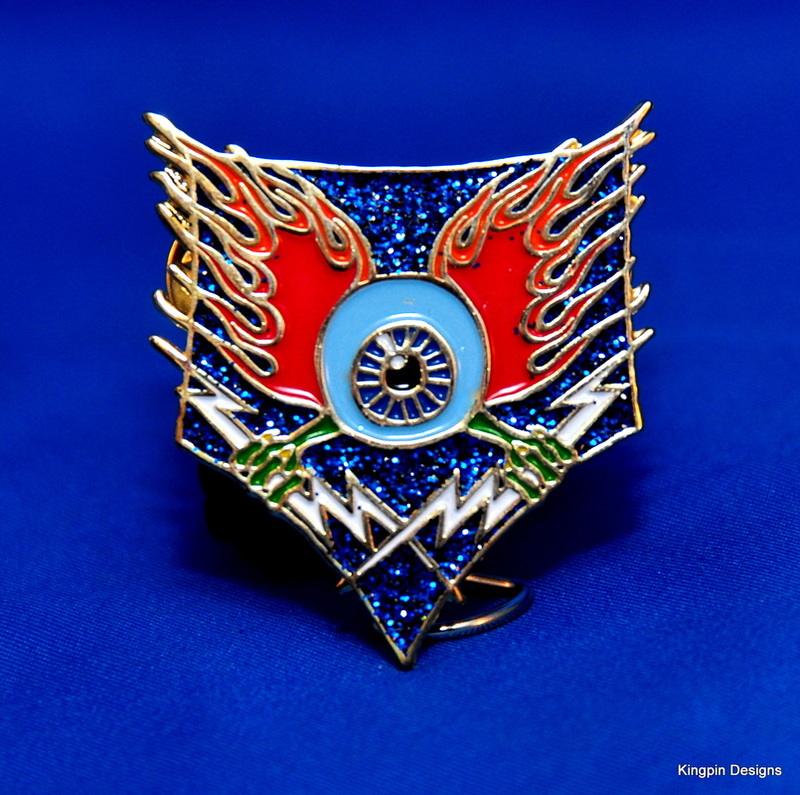 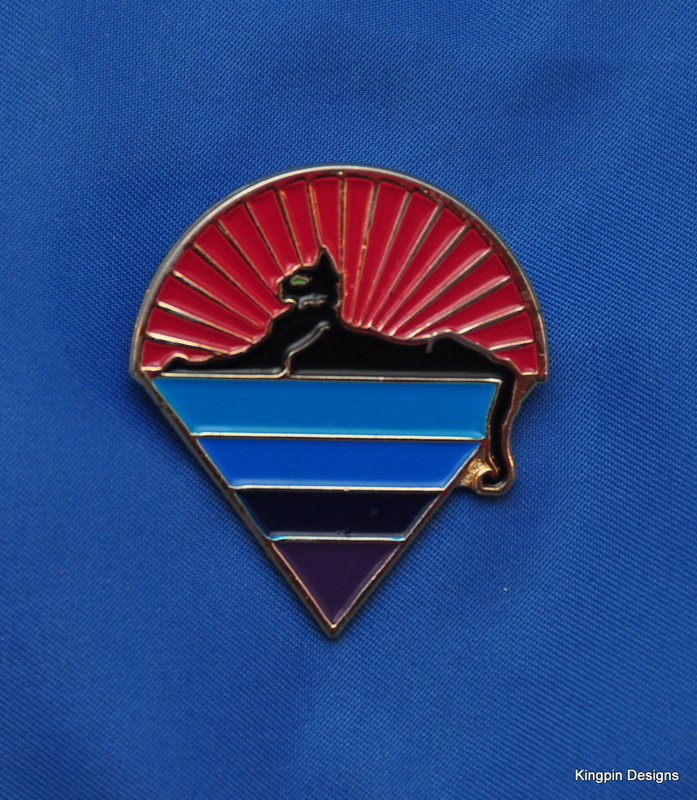 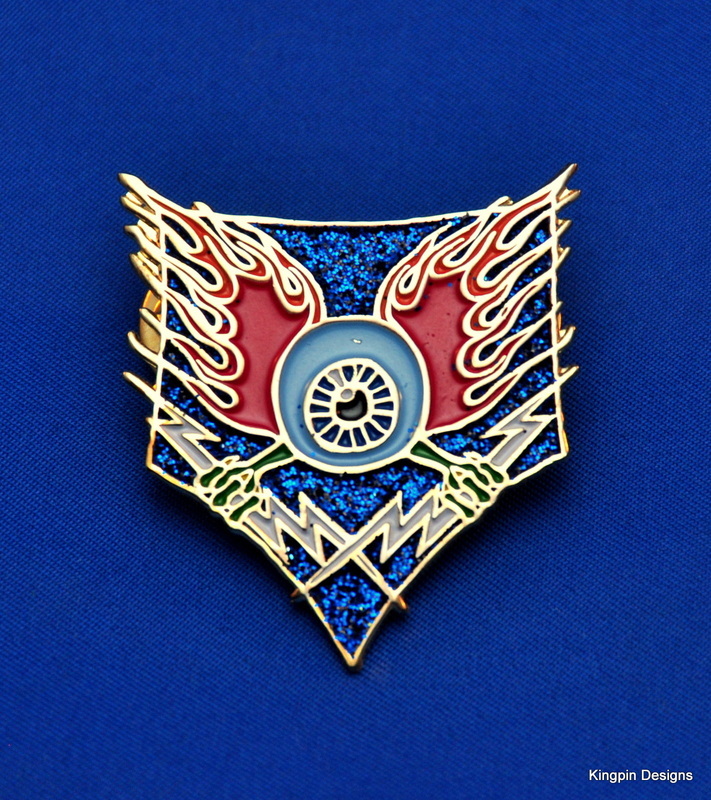 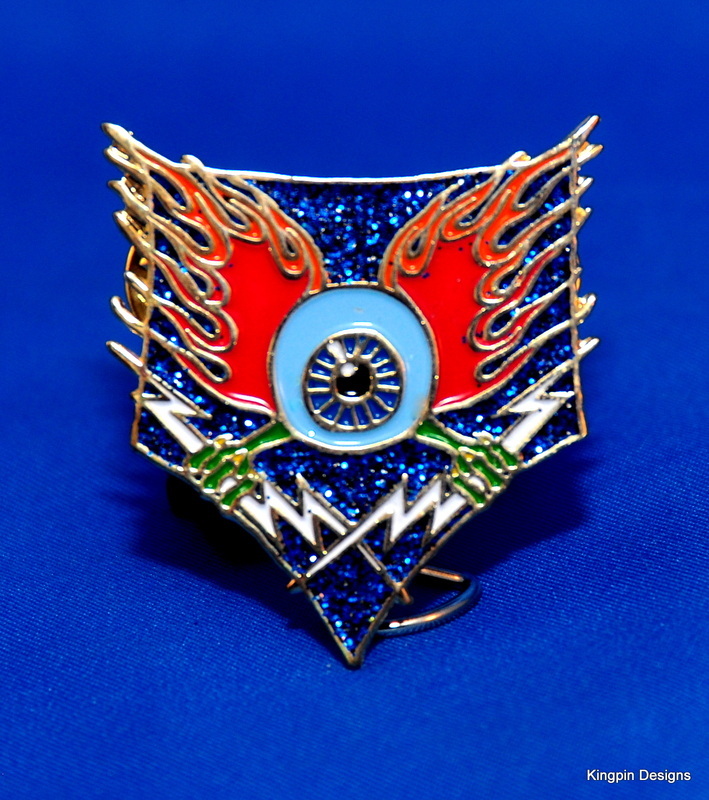 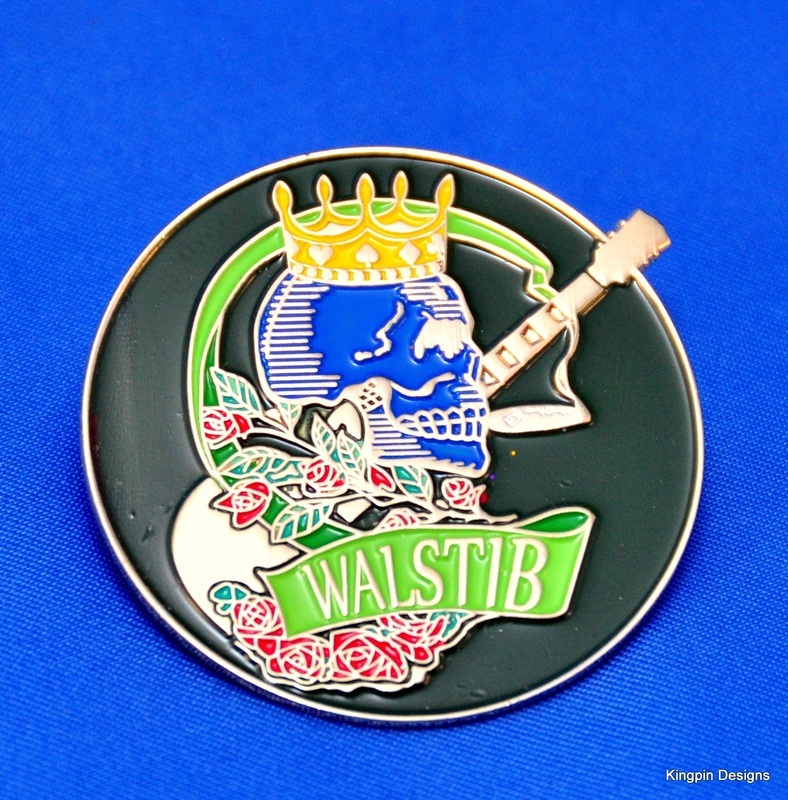 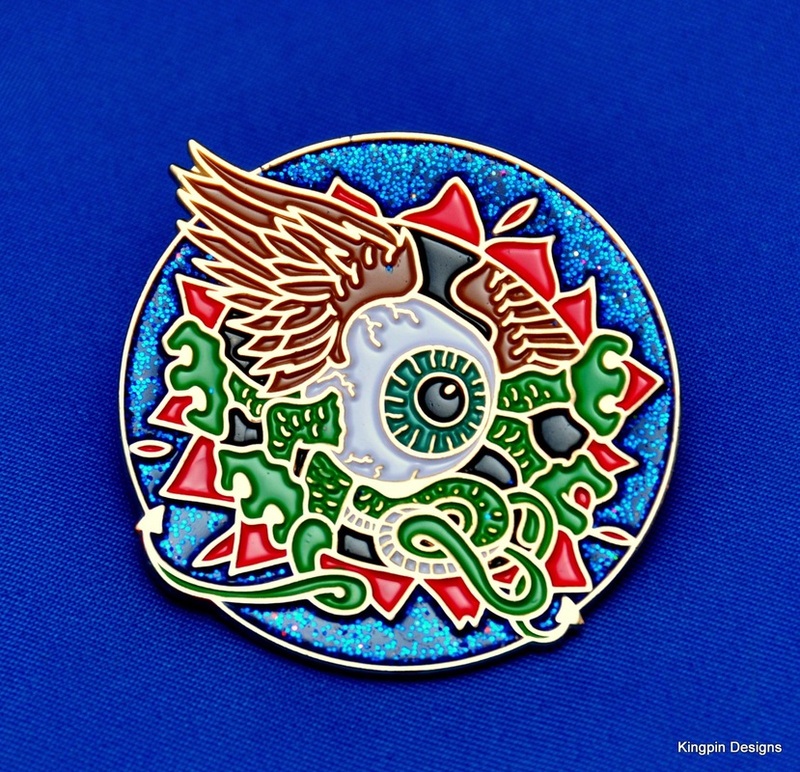 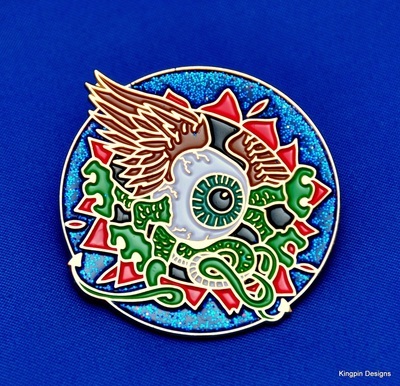 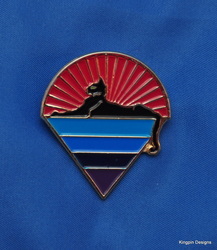 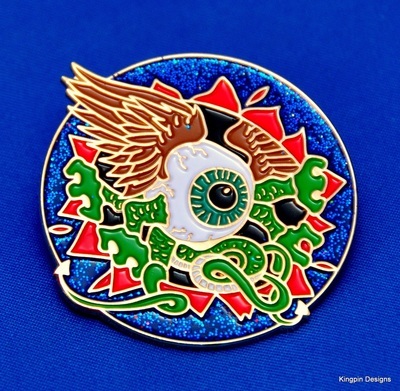 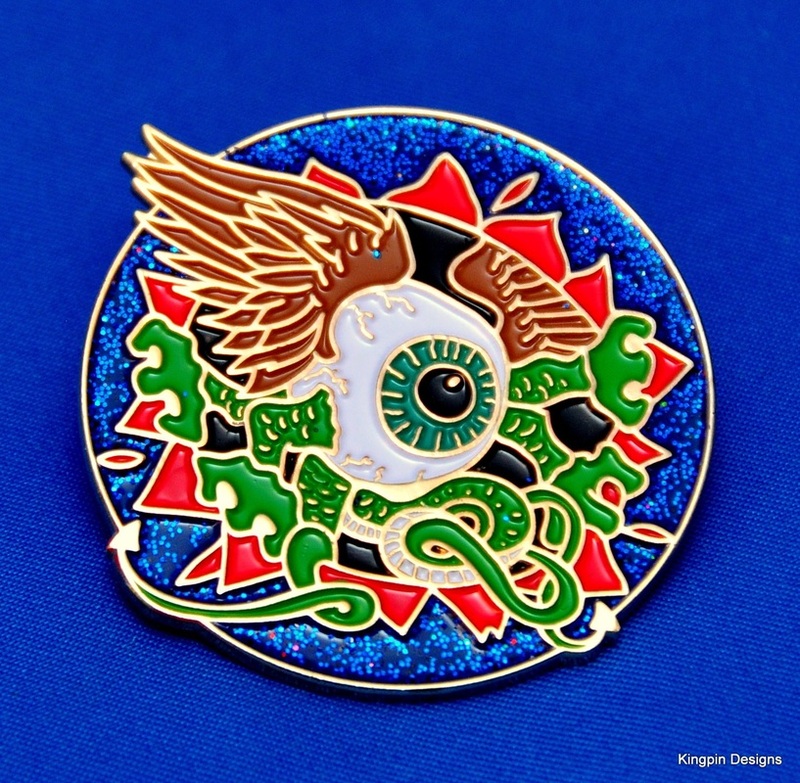 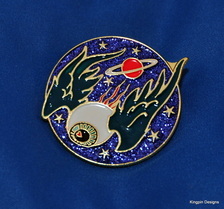 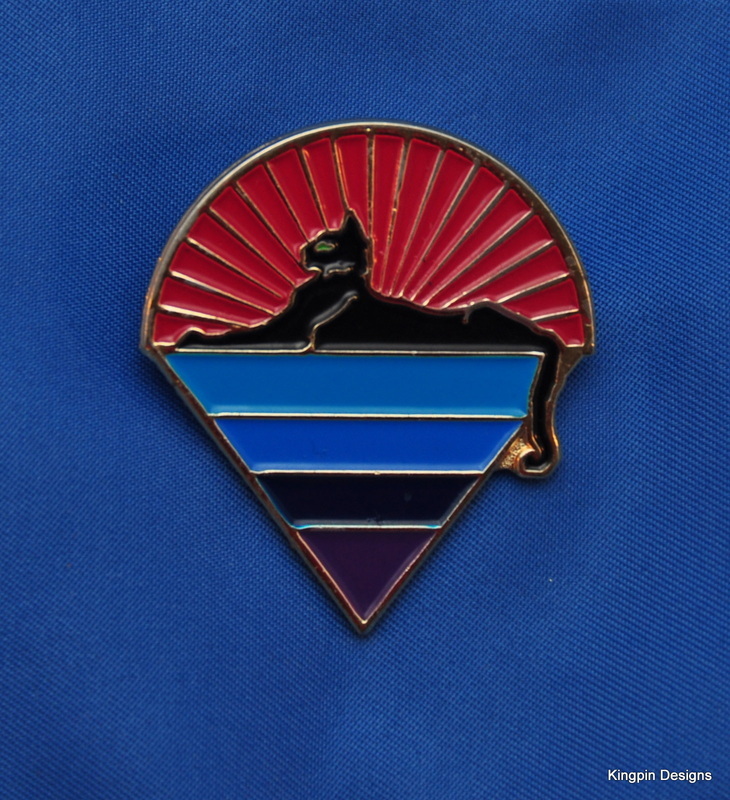 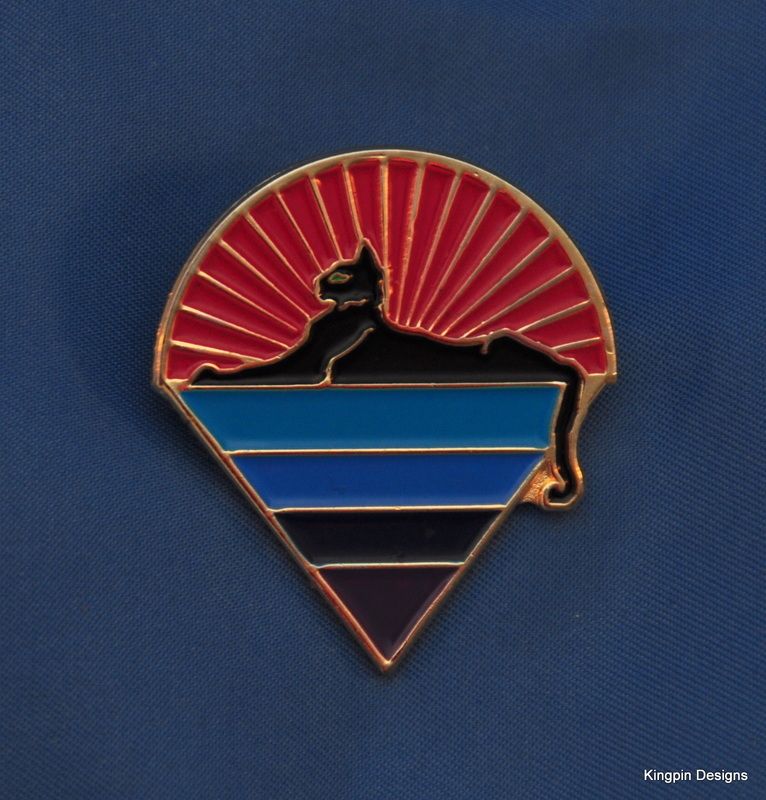 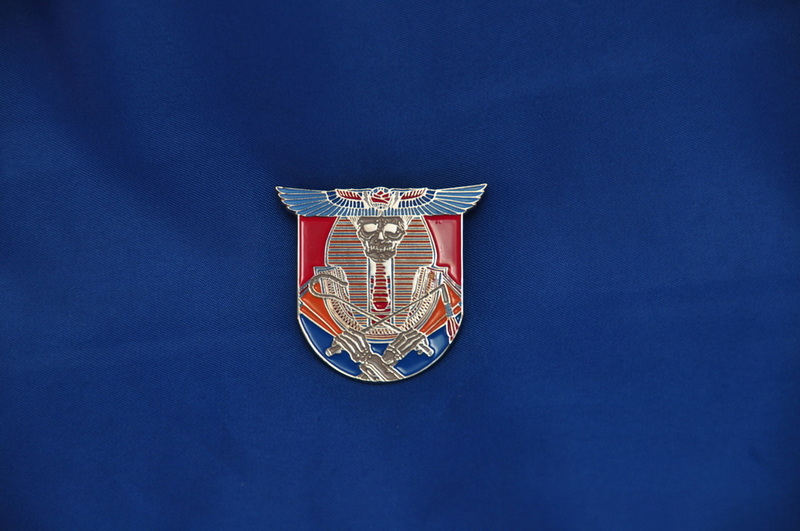 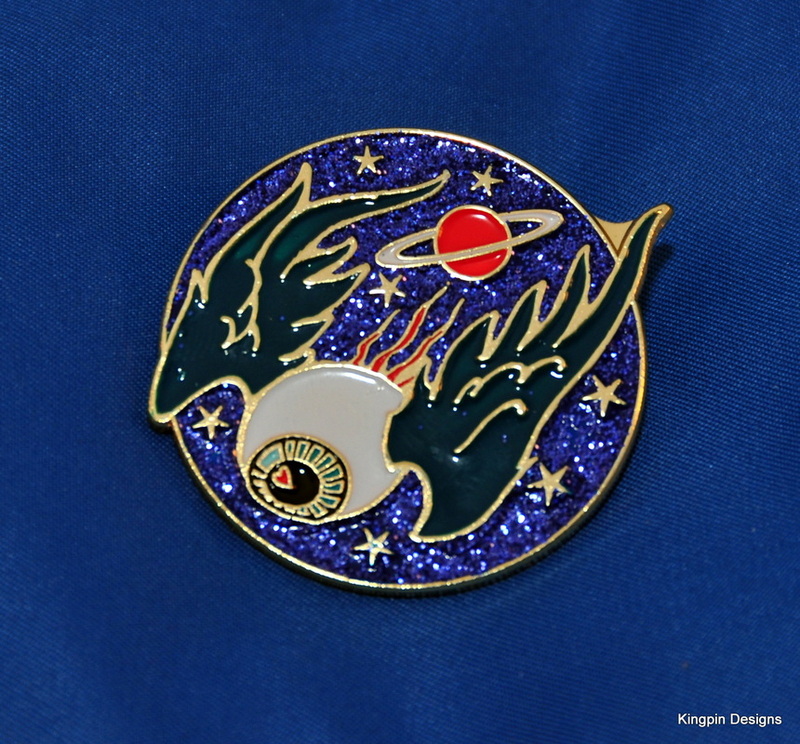 All pins measure 1.5 inches at the largest dimension, are soft enamel, finished in gold plating, and have 2 backs. 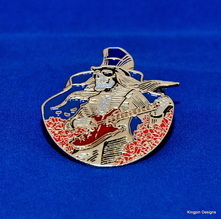 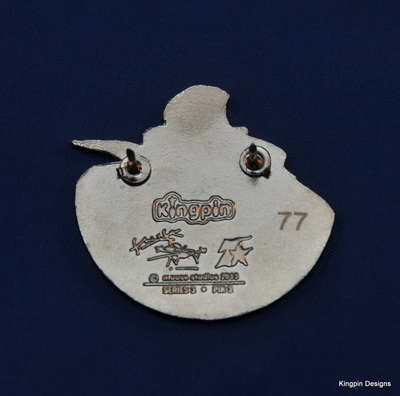 All pins are also individually numbered out of 500, have 2 backs and are stamped on the back with Stanley Mouse's signature, the Kingpin Designs Logo and Tripp Shealy's logo. 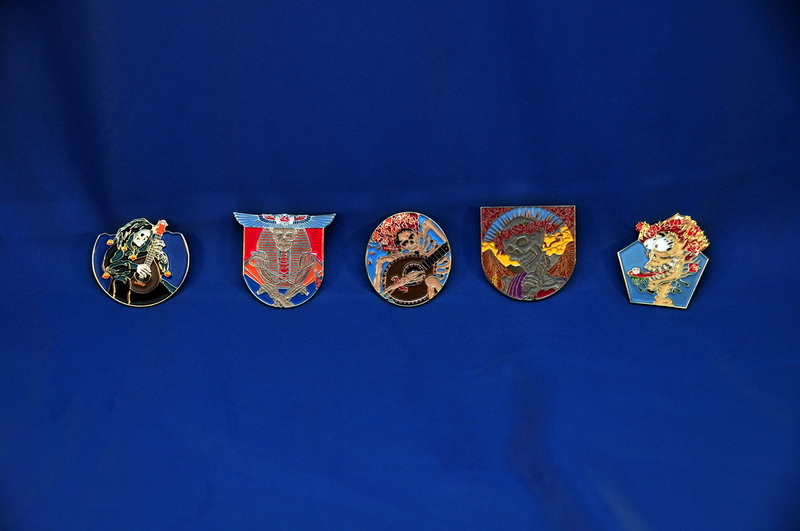 They are all also stamped with the words "Series 2 Pin X" or "Series 3 Pin X", where the X is the number of the design in the series (1, 2, 3, 4, or 5). 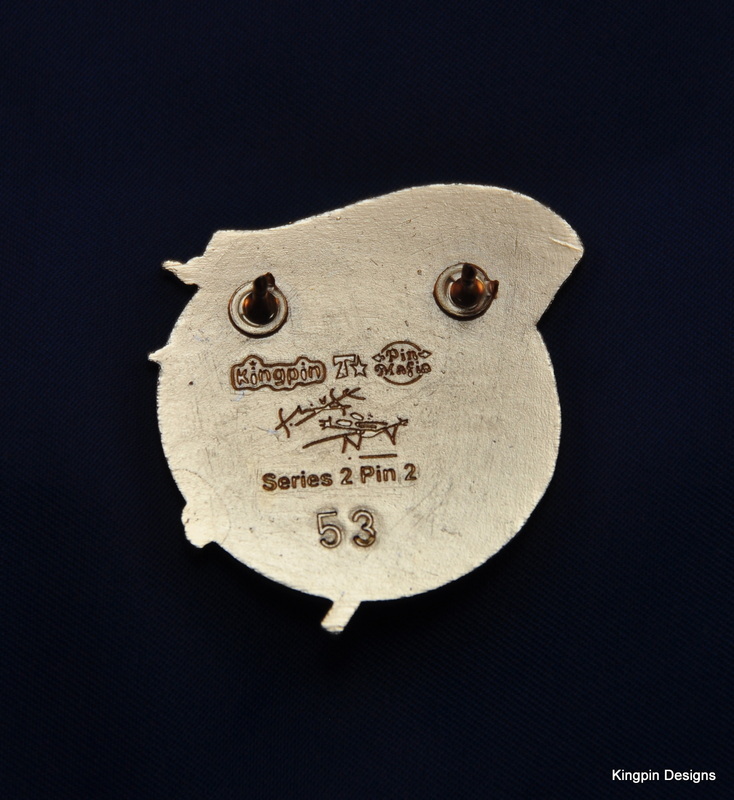 With this purchase, you will receive a Matched numbered set of pins from Series 2, a Matched numbered set from Series 3 and a Matched numbered set from Series 4. 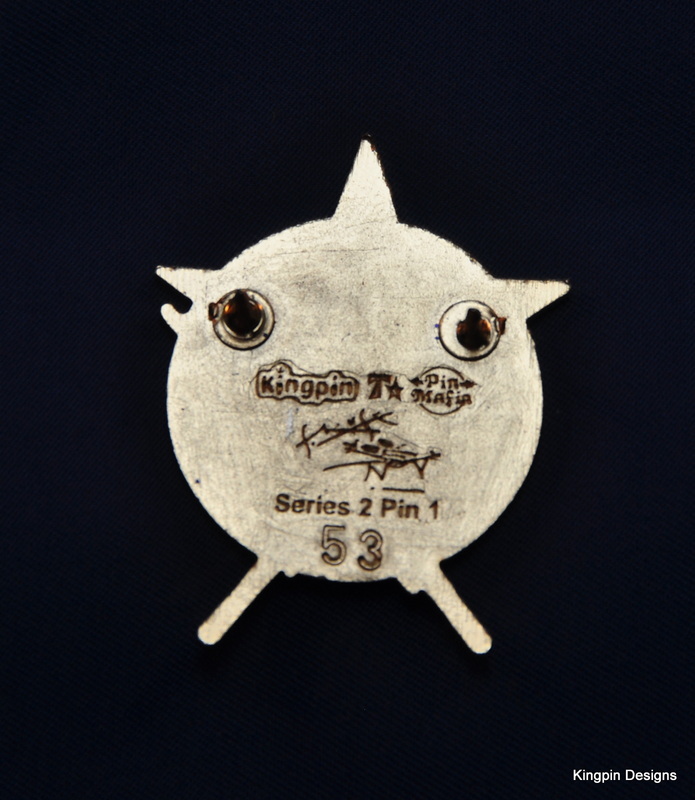 Unfortunately, due to the limited quantity of Series 2 pins remaining, I can not promise that Series 2 numbers will match Series 3 and Series 4. 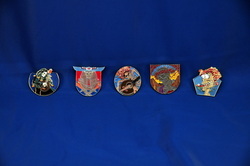 I will try to get as many matching numbers as possible, but I can not guarantee that all 3 sets will match. All the pins within a series are guaranteed to match, but not between series. 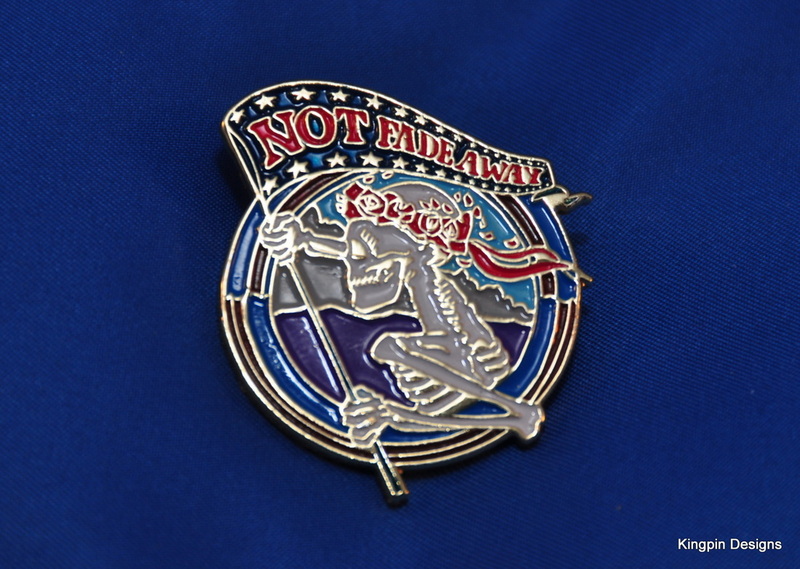 I only have 20 of each of these to sell, so they will go fast. These are the same pins as above, individually packaged instead of sold as a full set. 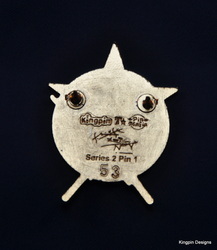 Pins are listed in order, Series 2 then Series 3. 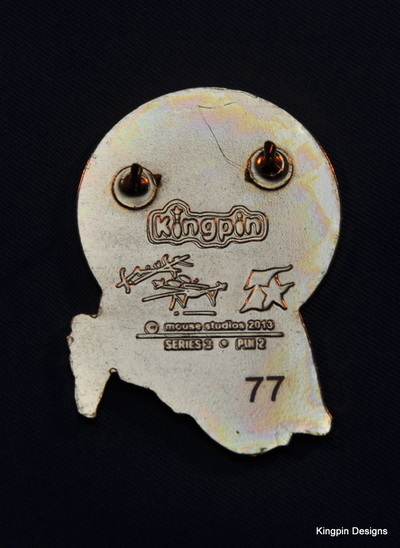 Finished in gold plating, 2 backs, numbered out of 500, stamped with Stanley Mouse's signature, the Kingpin Designs Logo and Tripp Shealy's logo. Measures 1.5 inches top to bottom. 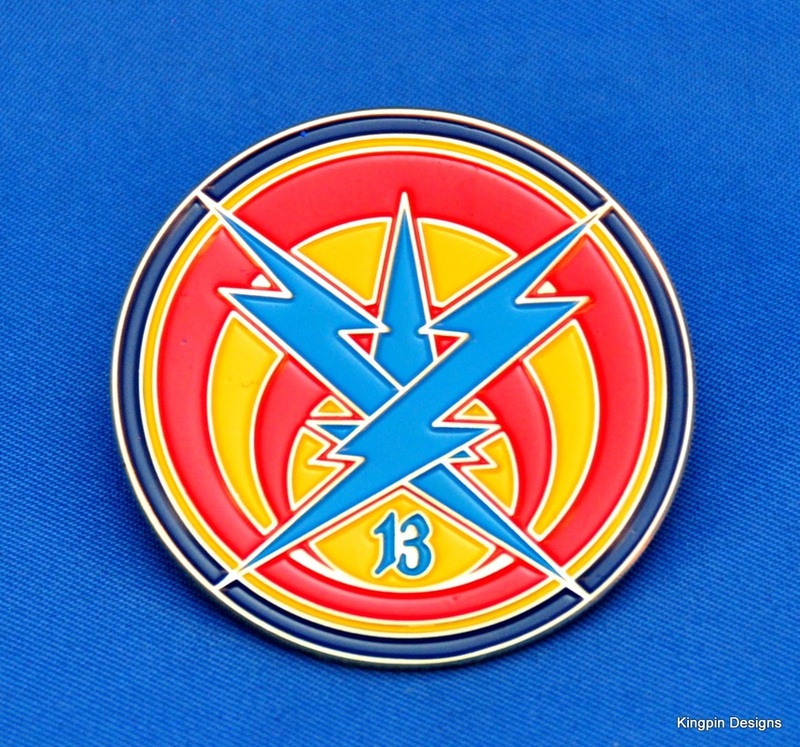 Also Stamped on the back with "Series 2 Pin 1"
Blue Glitter enamel in the back ground really sets this pin off, and the shape makes it look and feel much smaller than a 1.5 inch pin. 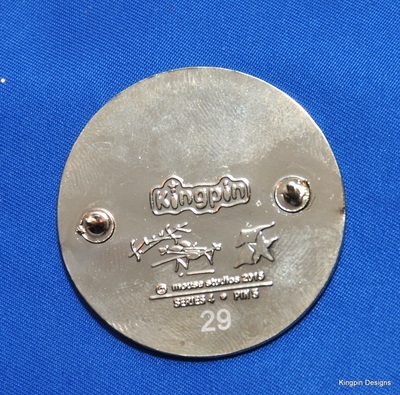 Finished in gold plating, 2 backs, numbered out of 500, stamped with Stanley Mouse's signature, the Kingpin Designs Logo and Tripp Shealy's logo. 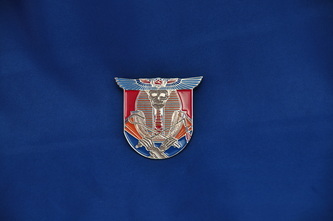 Measures 1.5 inches top to bottom. 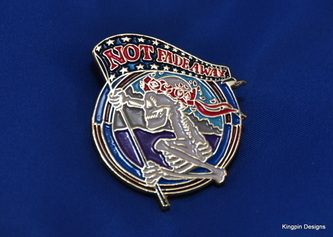 Also Stamped on the back with "Series 2 Pin 5"
THIS PIN IS NOW SOLD OUT INDIVIDUALLY. THEY ARE STILL AVAILABLE AS PART OF A MATCHING NUMBERED SET. 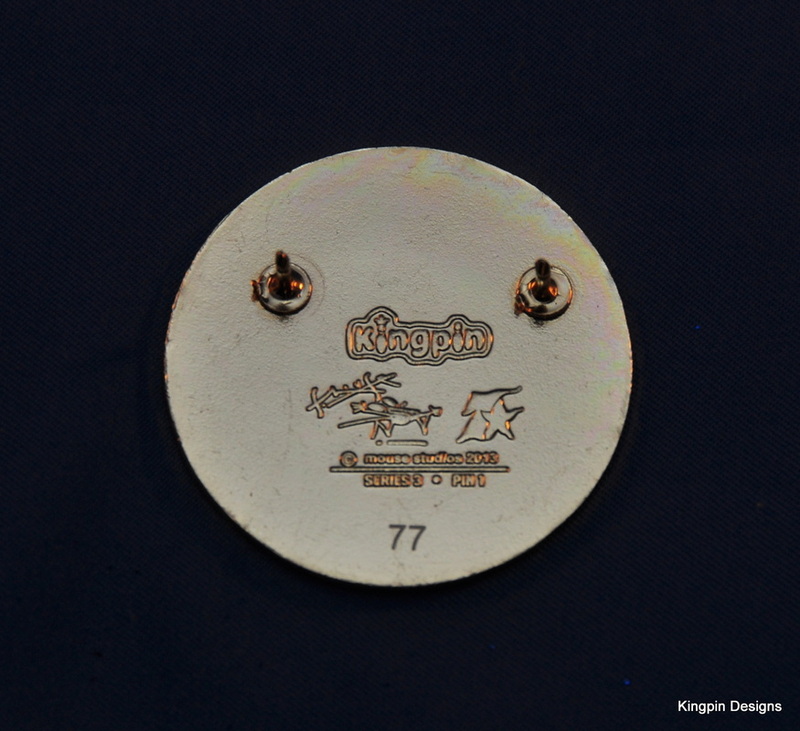 Finished in gold plating, 2 backs, numbered out of 500, stamped with Stanley Mouse's signature, the Kingpin Designs Logo and Tripp Shealy's logo. 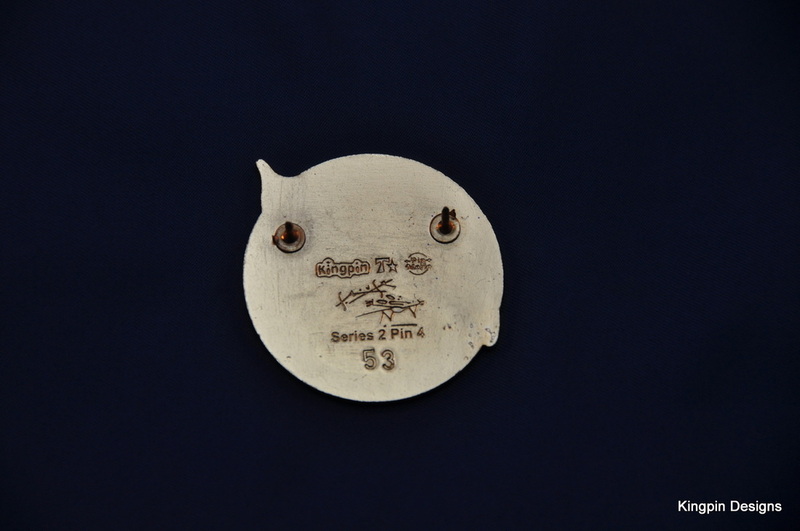 Measures 1.5 inches top to bottom. 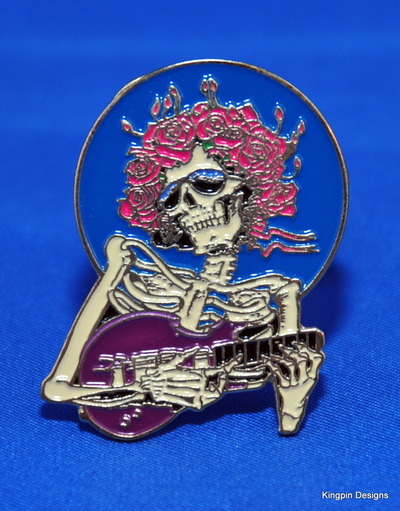 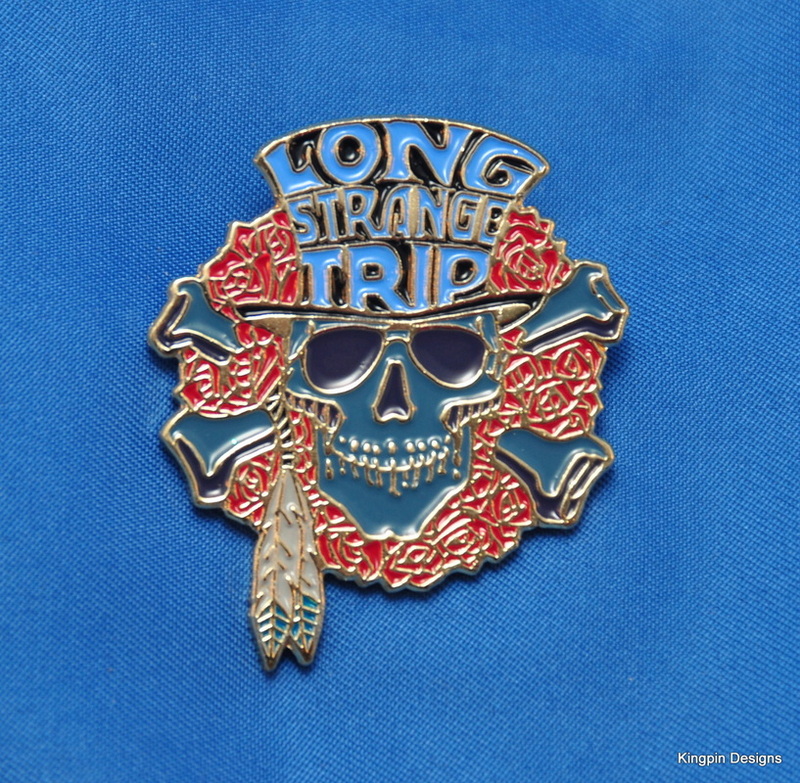 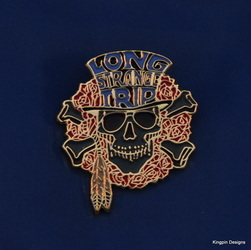 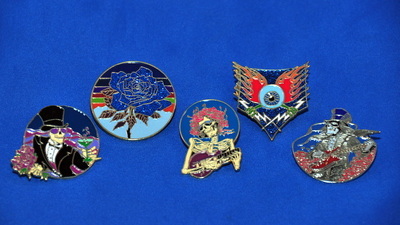 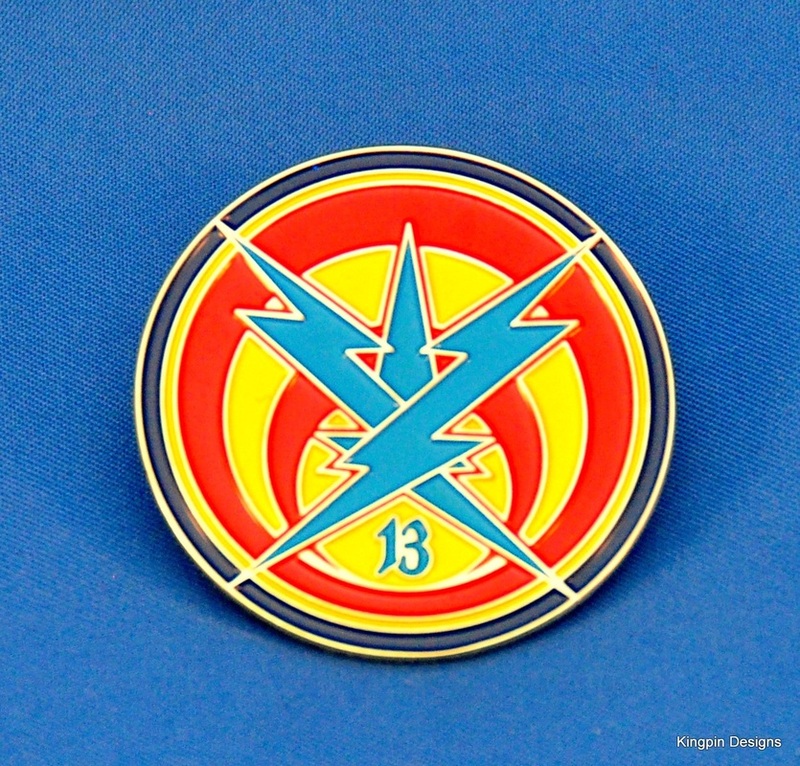 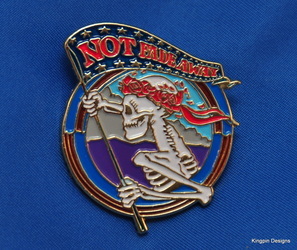 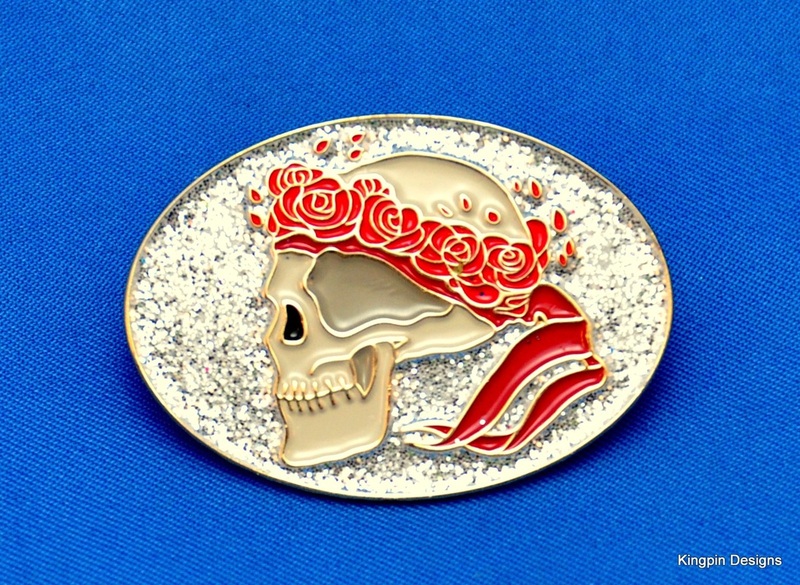 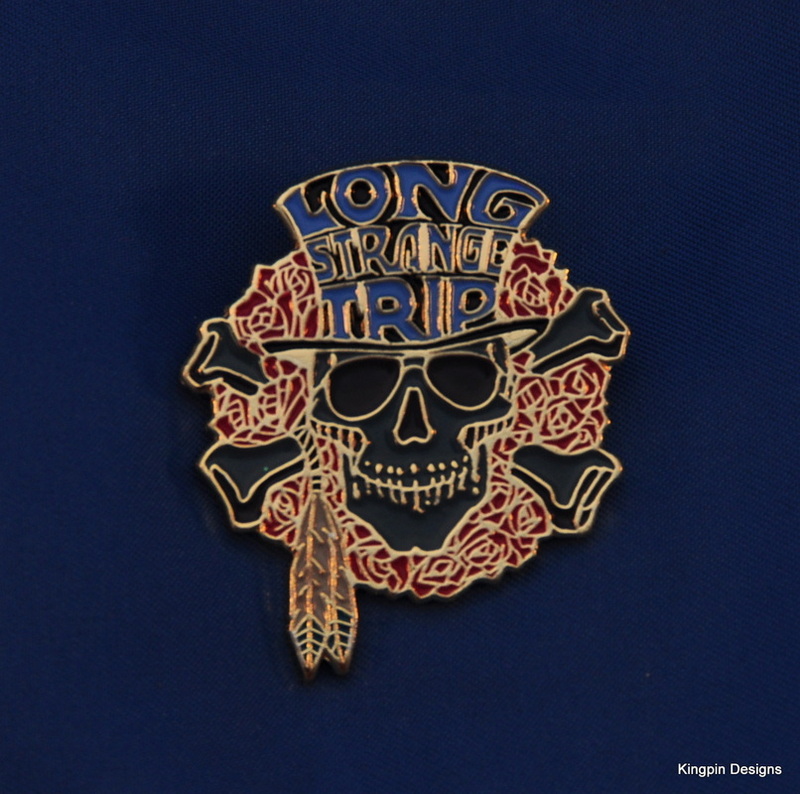 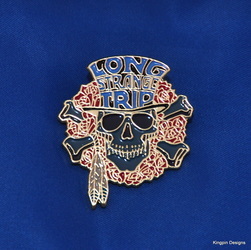 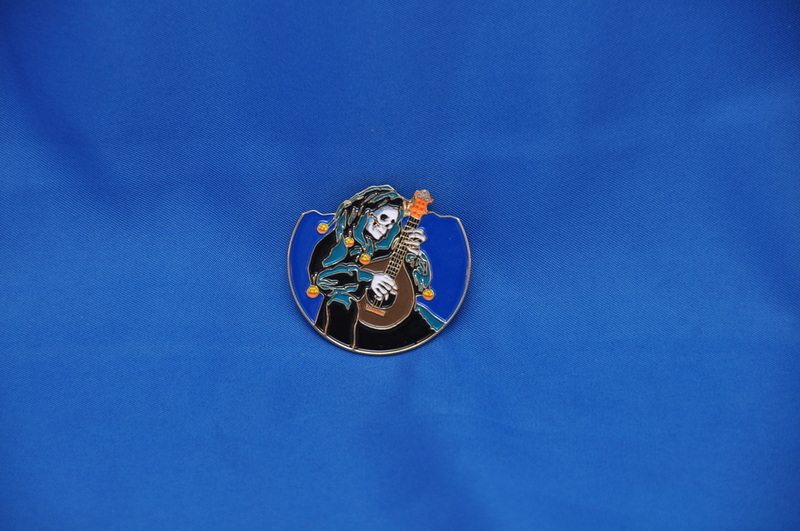 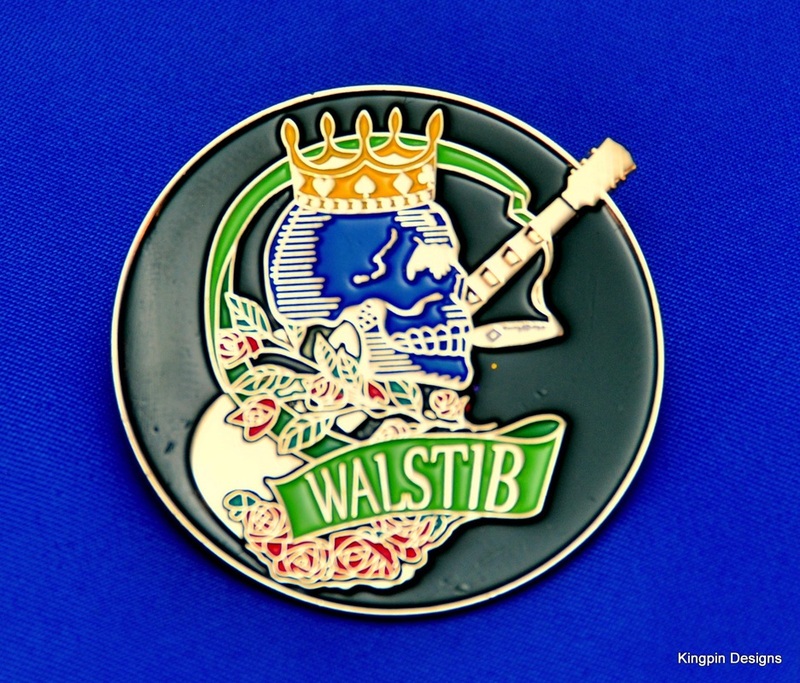 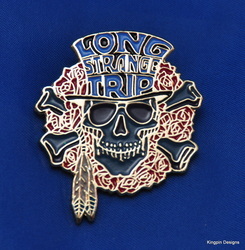 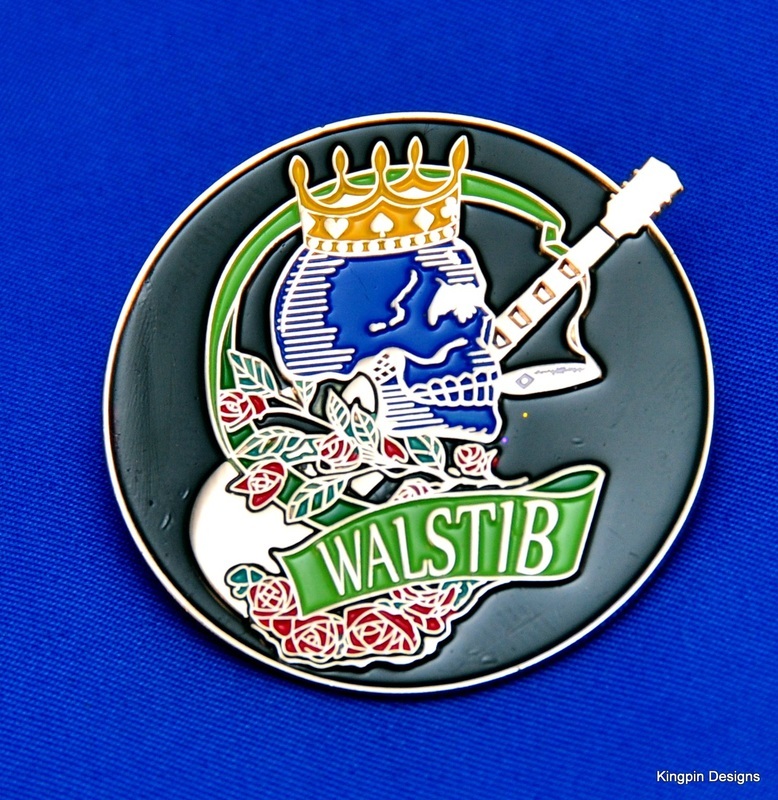 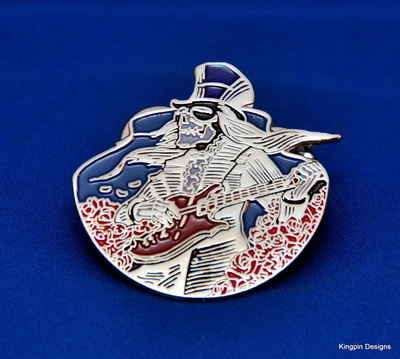 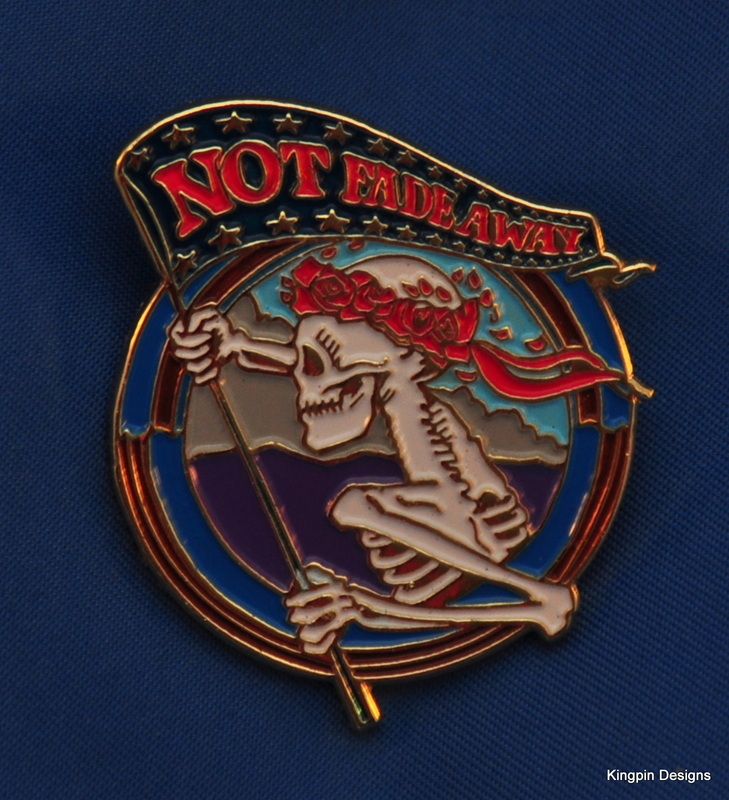 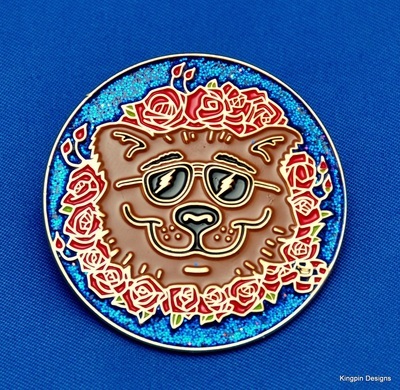 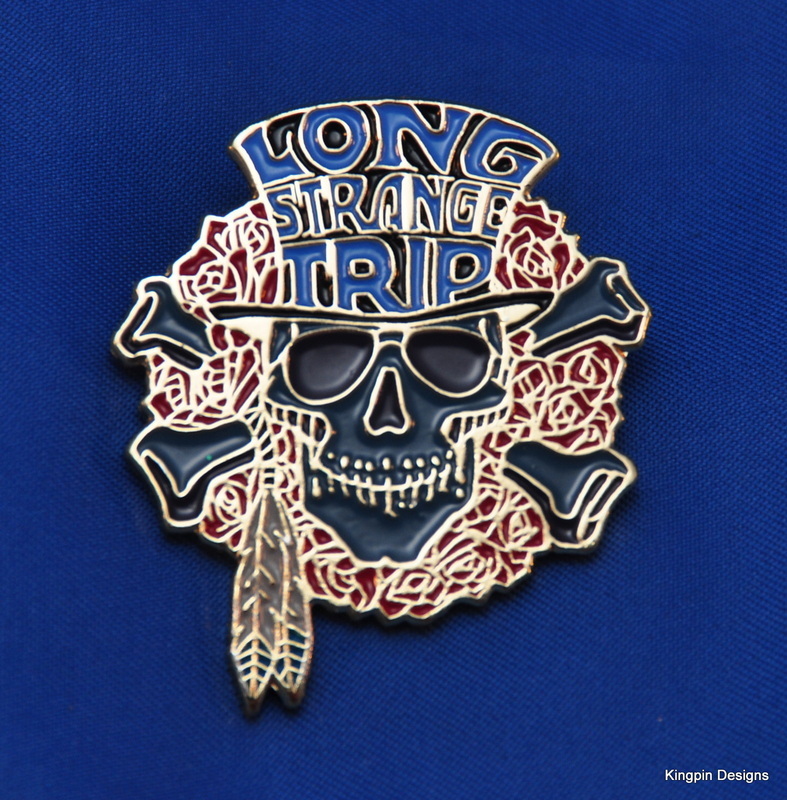 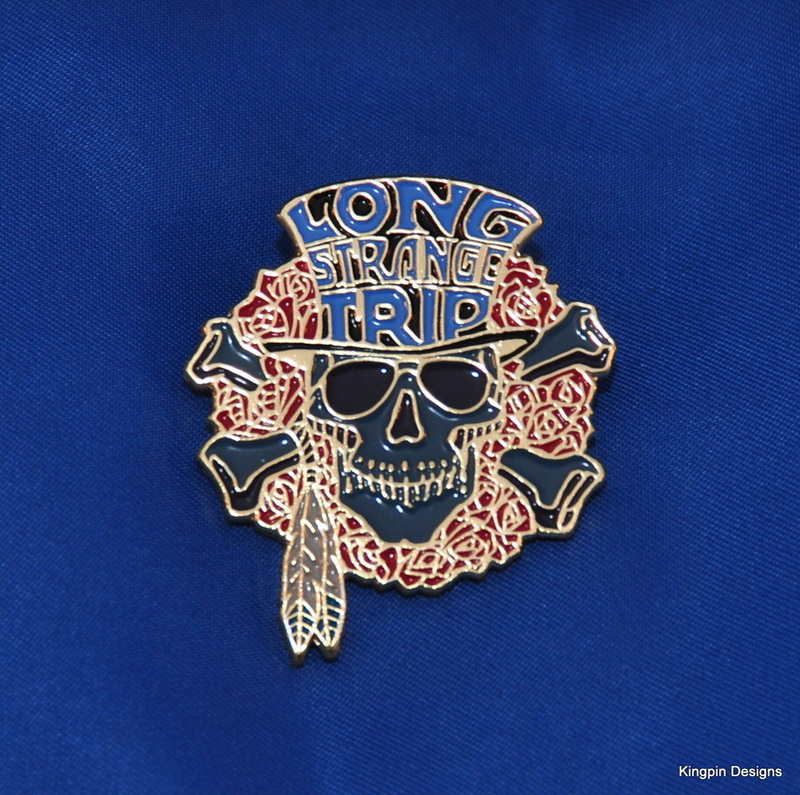 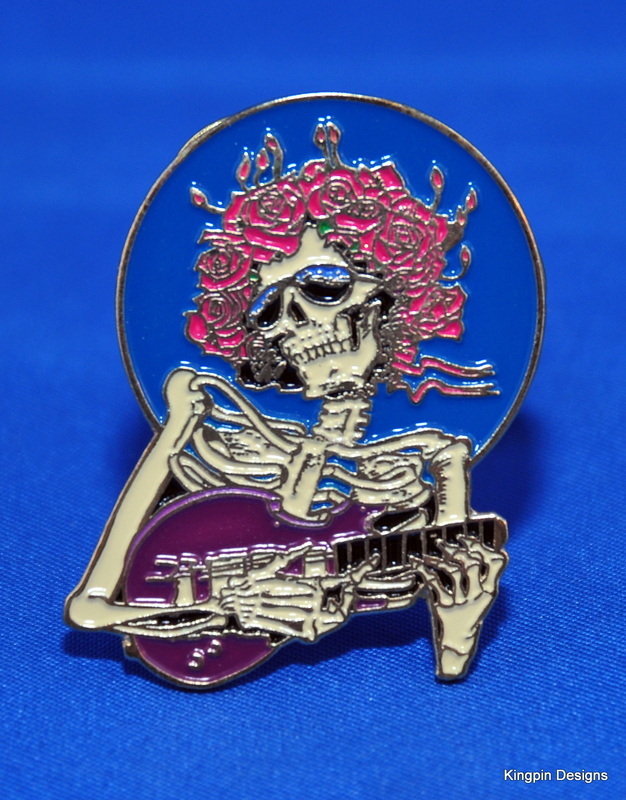 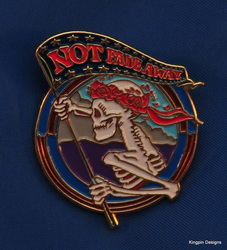 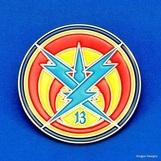 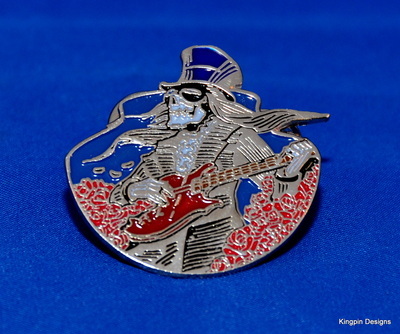 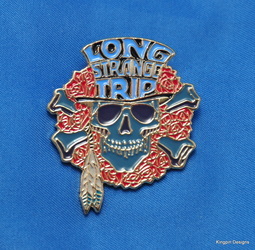 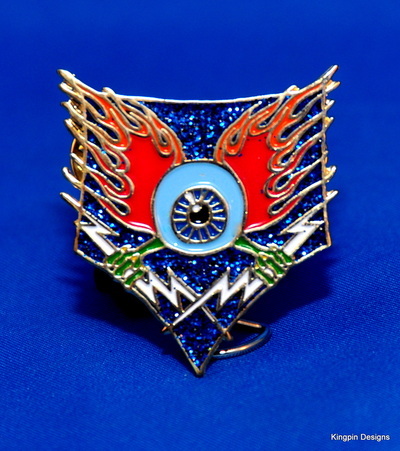 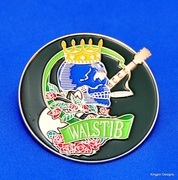 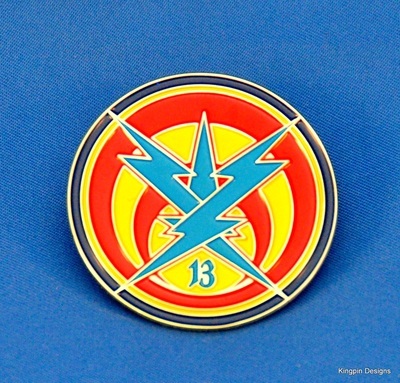 Also Stamped on the back with "Series 2 Pin 3"
Sorry, the Long Strange Trip pins are now SOLD OUT!! You can still get one by purchasing a full matching numbers set. 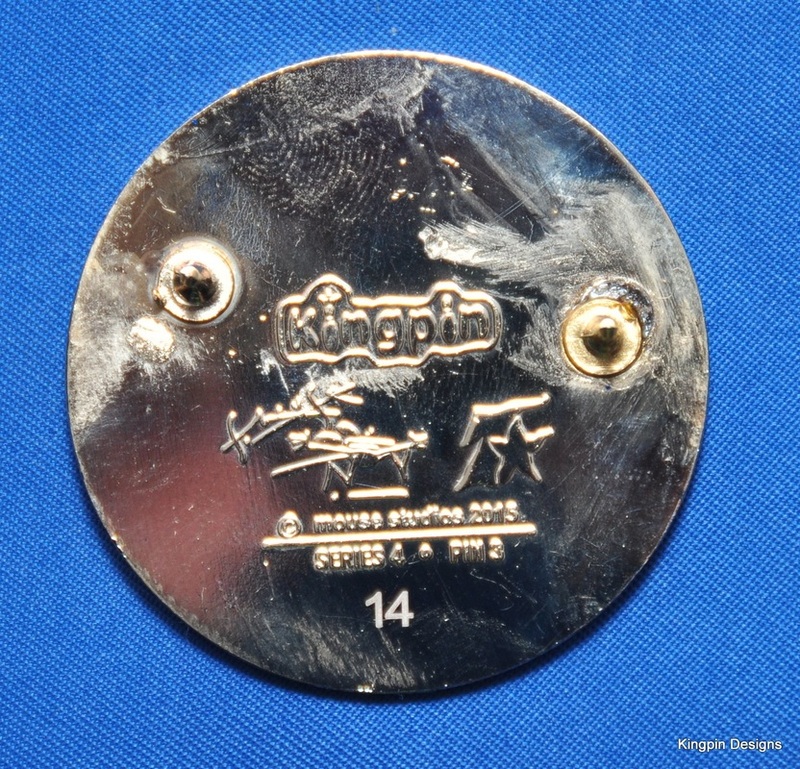 Finished in gold plating, 2 backs, numbered out of 500, stamped with Stanley Mouse's signature, the Kingpin Designs Logo and Tripp Shealy's logo. 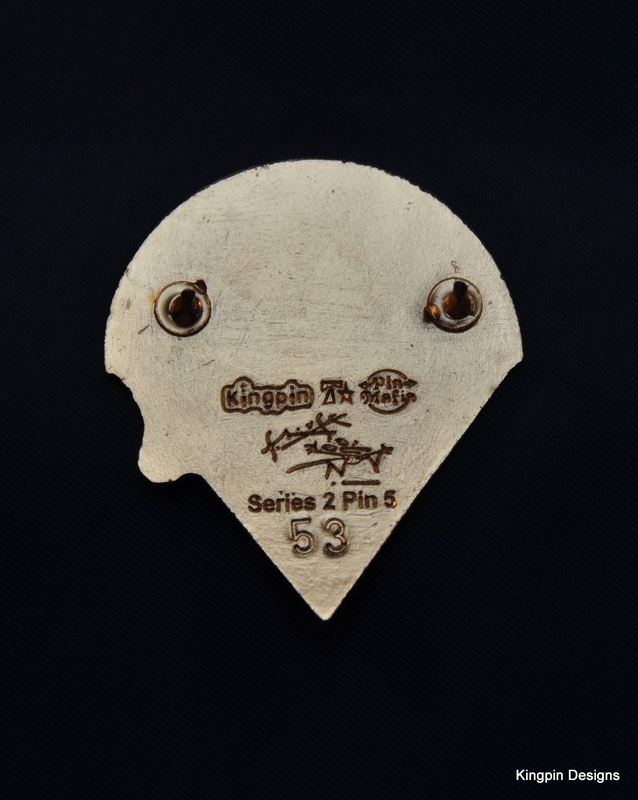 Measures 1.5 inches top to bottom. 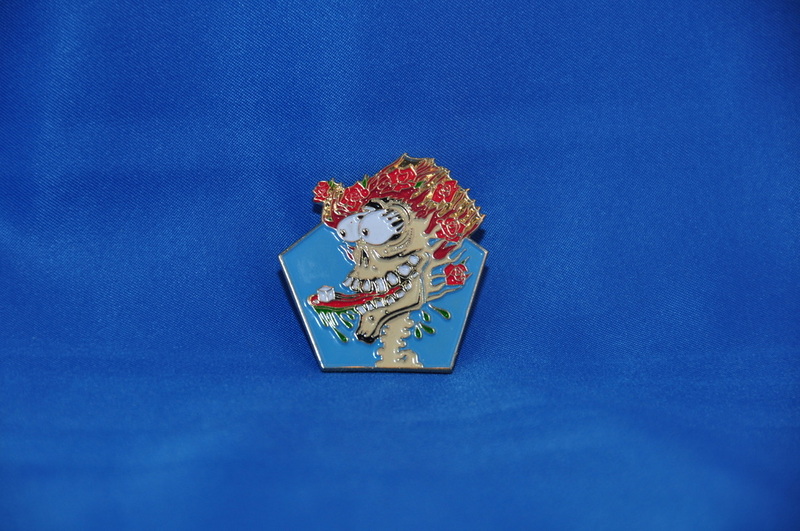 Also Stamped on the back with "Series 2 Pin 4"
Finally, the Official Cats under the Stars pin. It is beautiful!! 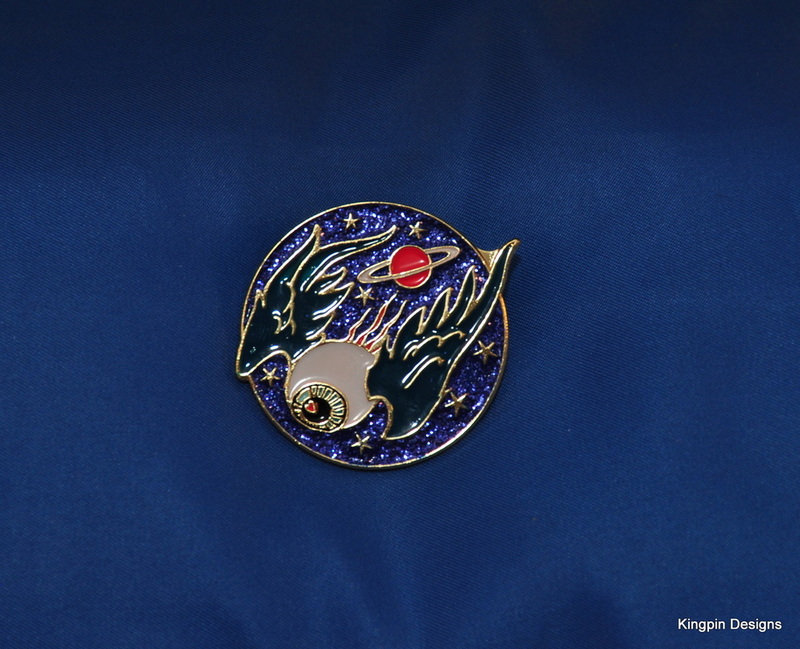 Sorry, The individual Cats pins are all sold out!You can still get one by purchasing a full matching numbers set. 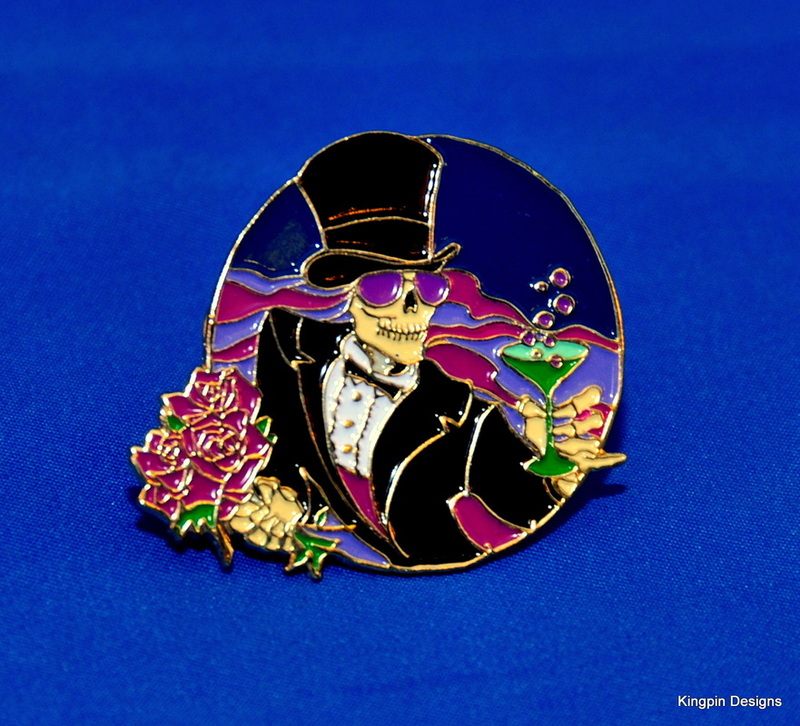 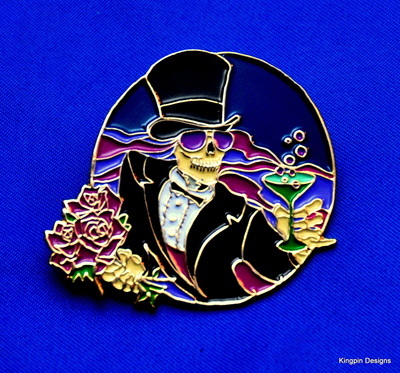 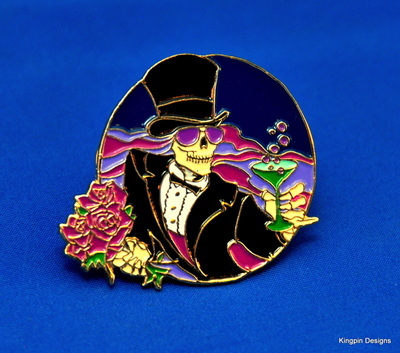 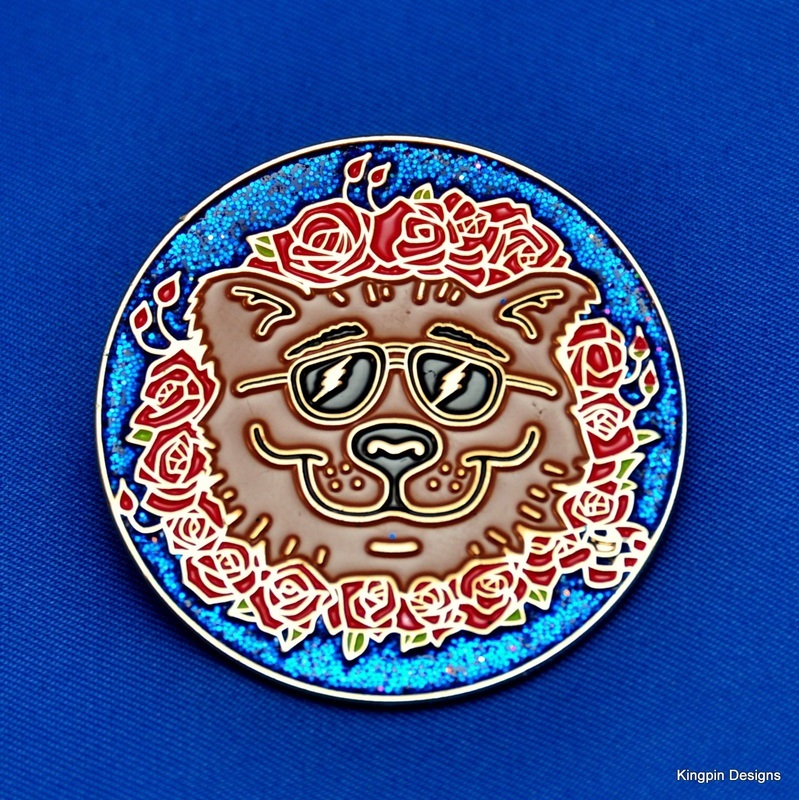 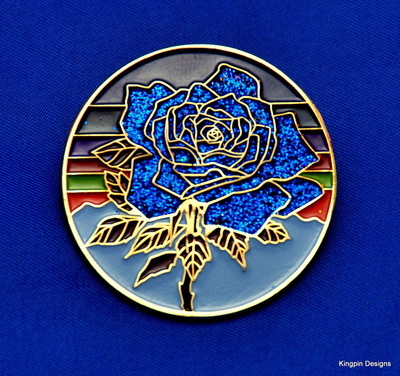 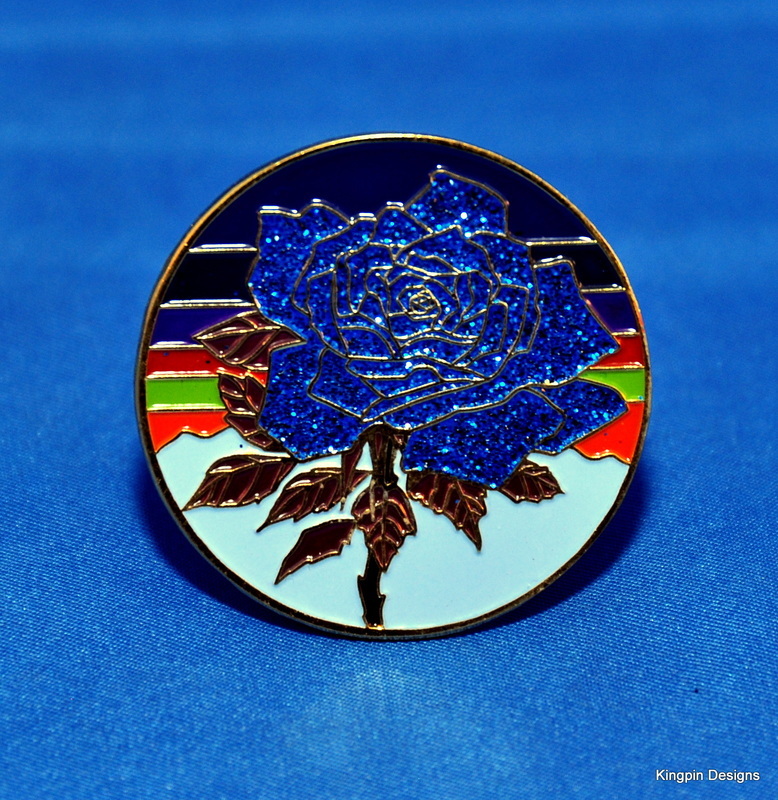 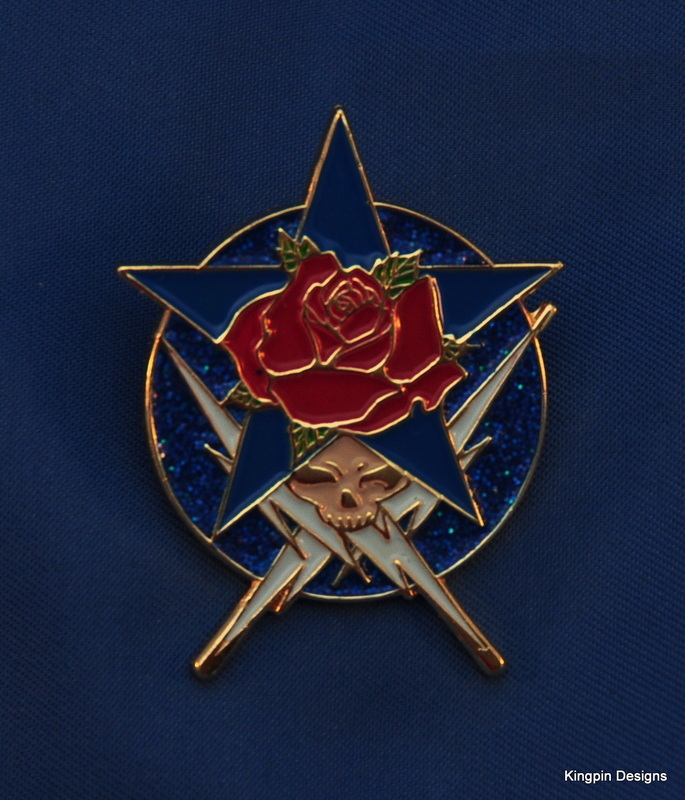 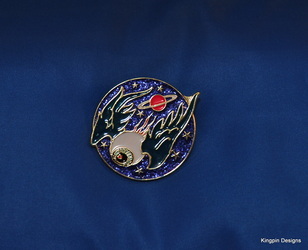 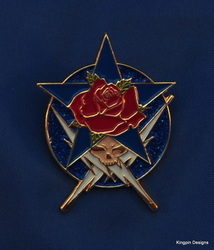 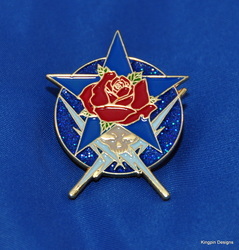 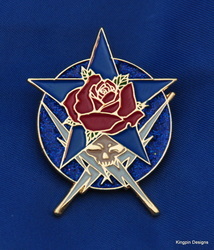 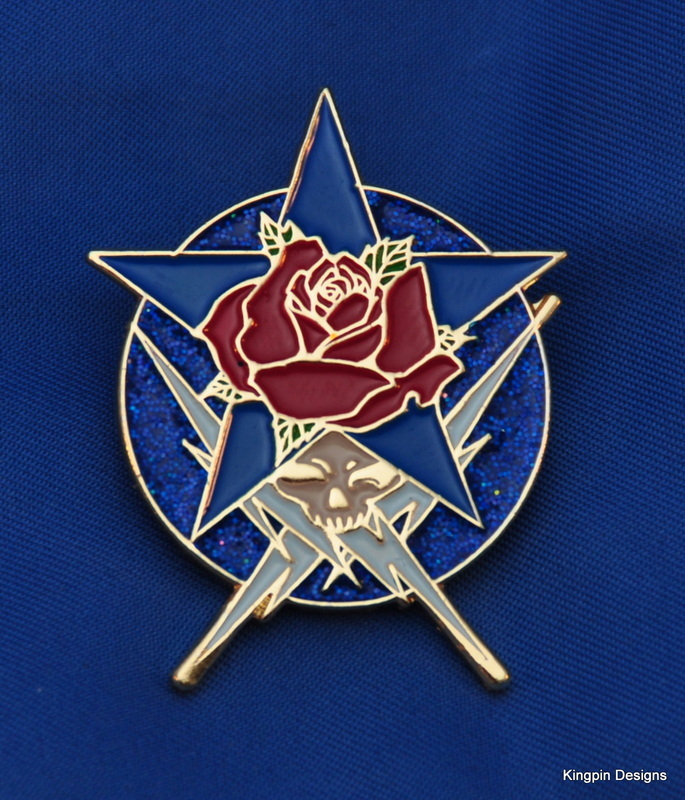 Glitter filled blue rose, finished in gold plating, 2 backs, numbered out of 500, stamped with Stanley Mouse's signature, the Kingpin Designs Logo and Tripp Shealy's logo. Measures 1.5 inches top to bottom. 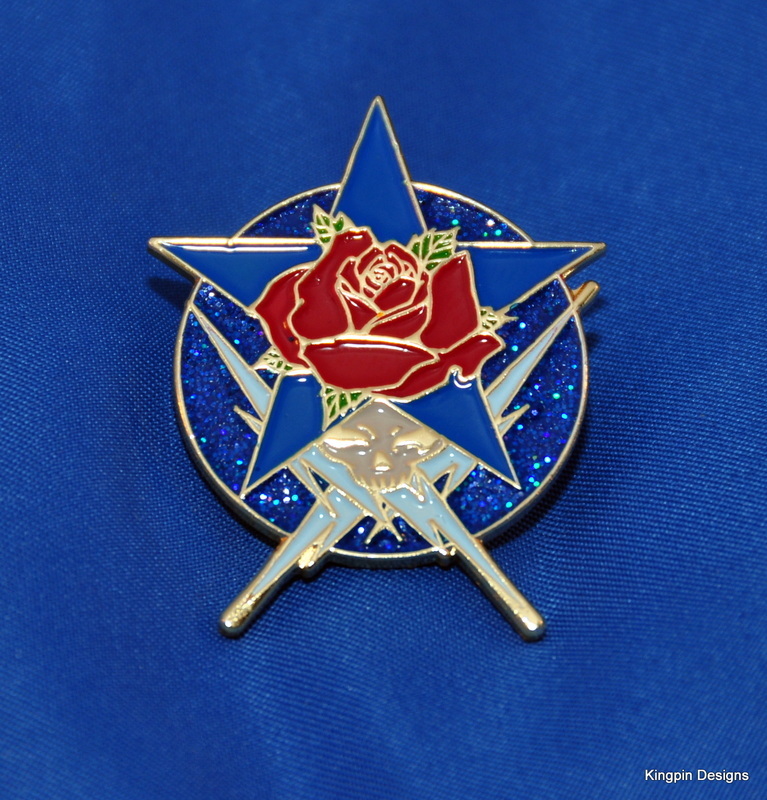 Also Stamped on the back with "Series 3 Pin 1"
Sorry, The individual Blue Rose pins are all sold out!You can still get one by purchasing a full matching numbers set. 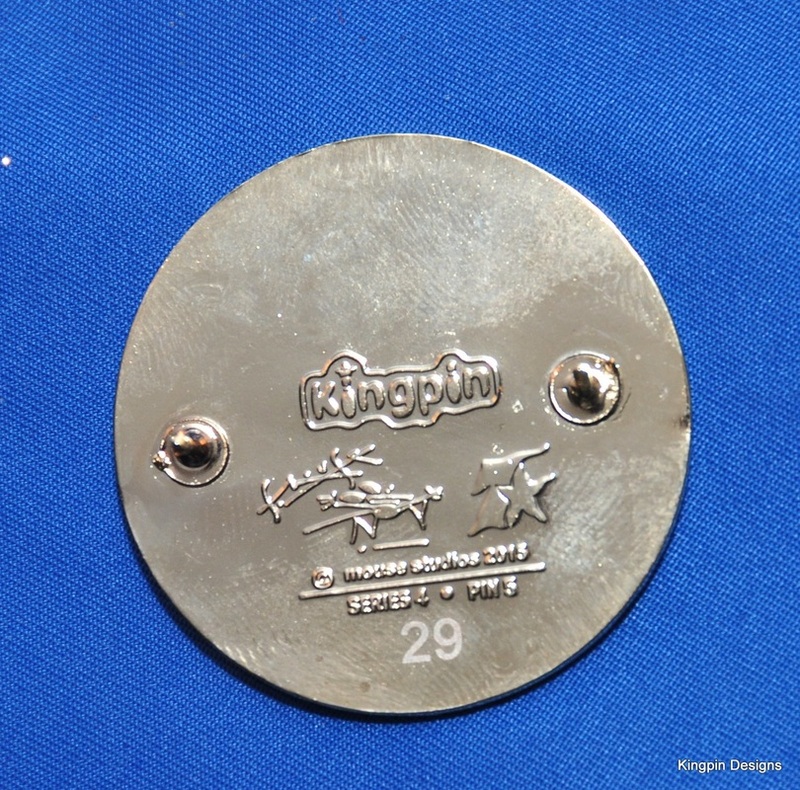 Finished in gold plating, 2 backs, numbered out of 500, stamped with Stanley Mouse's signature, the Kingpin Designs Logo and Tripp Shealy's logo. 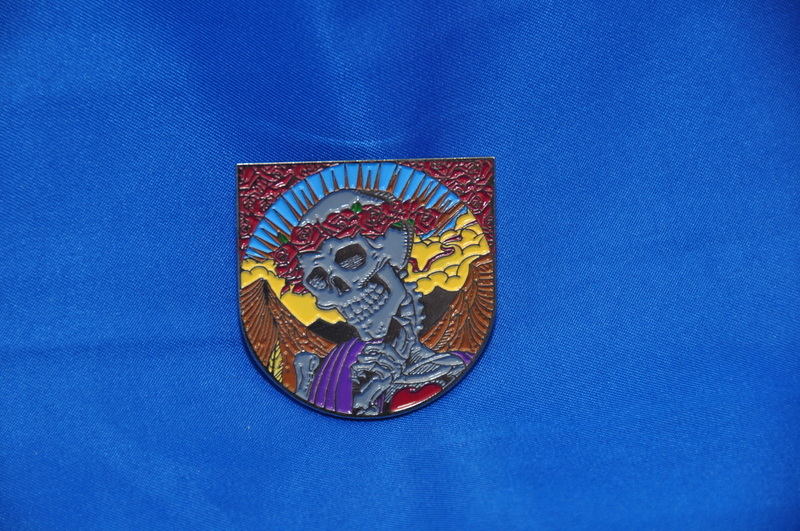 Measures 1.5 inches top to bottom. 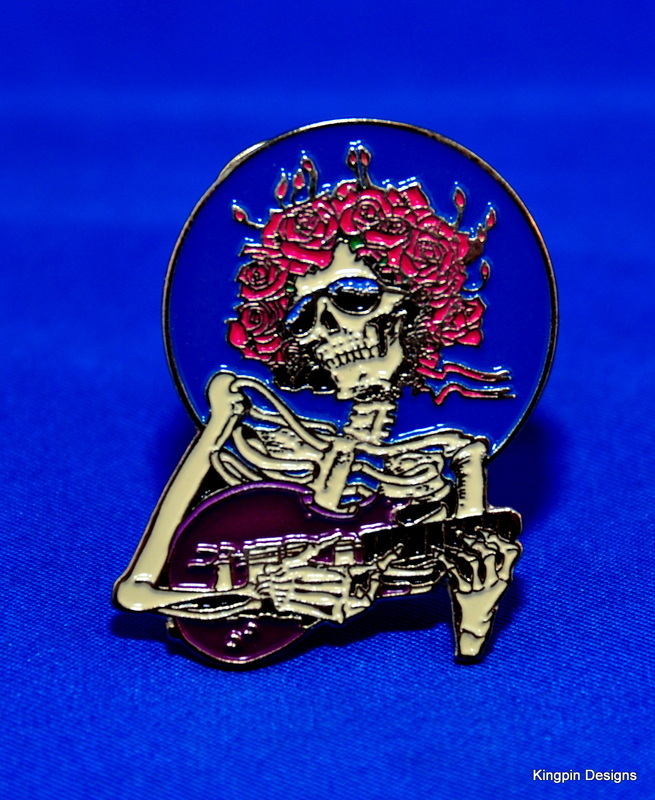 Also Stamped on the back with "Series 3 Pin 2"
Sorry, The individual Bertha pins are all sold out!You can still get one by purchasing a full matching numbers set. Finished in silver plating, 2 backs, numbered out of 500, stamped with Stanley Mouse's signature, the Kingpin Designs Logo and Tripp Shealy's logo. 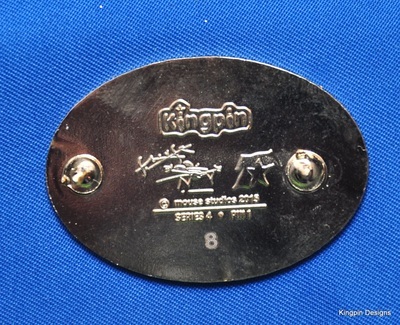 Measures 1.5 inches top to bottom. 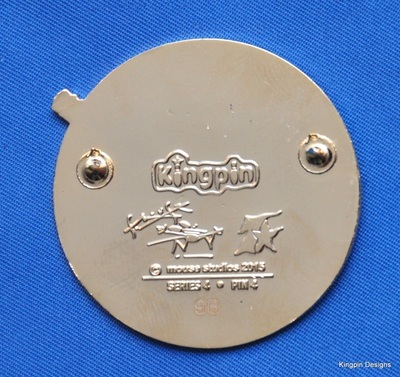 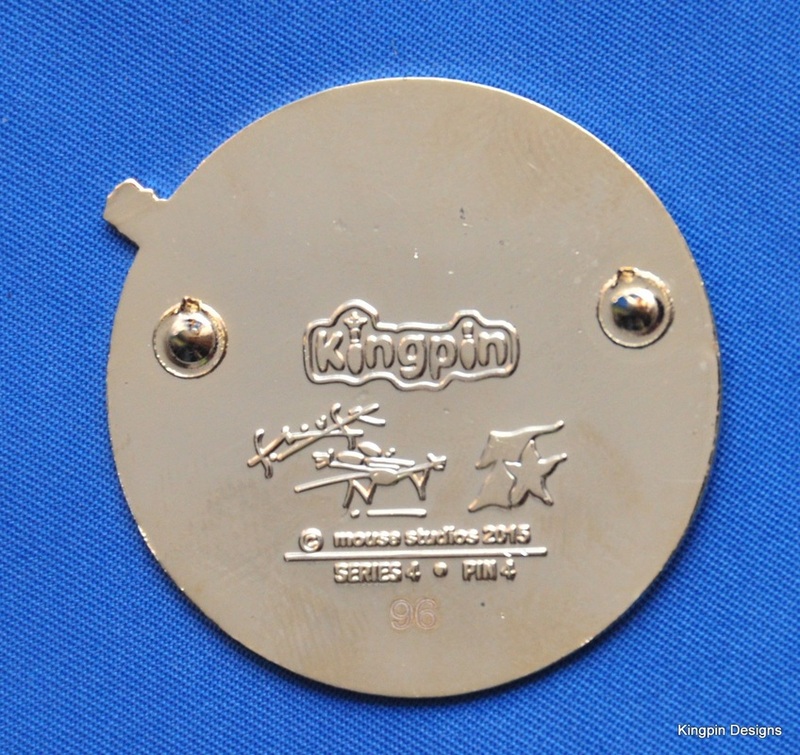 Also Stamped on the back with "Series 3 Pin 3"
Finished in gold plating, 2 backs, numbered out of 500, stamped with Stanley Mouse's signature, the Kingpin Designs Logo and Tripp Shealy's logo. Measures 1.5 inches top to bottom. 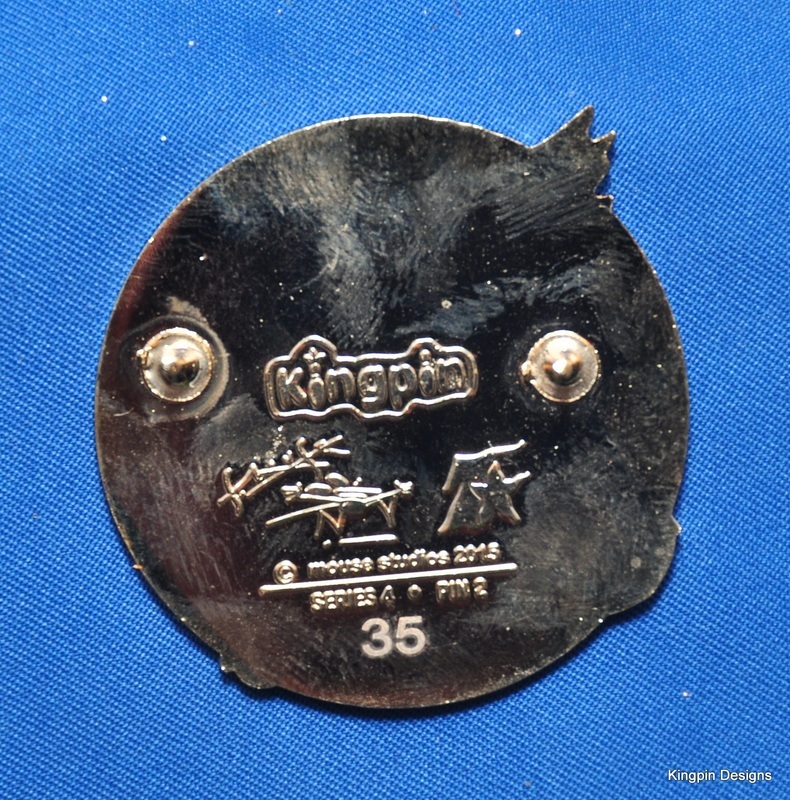 Also Stamped on the back with "Series 3 Pin 4"
Finished in gold plating, 2 backs, numbered out of 500, stamped with Stanley Mouse's signature, the Kingpin Designs Logo and Tripp Shealy's logo. 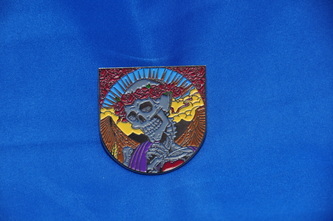 Measures 1.5 inches top to bottom. 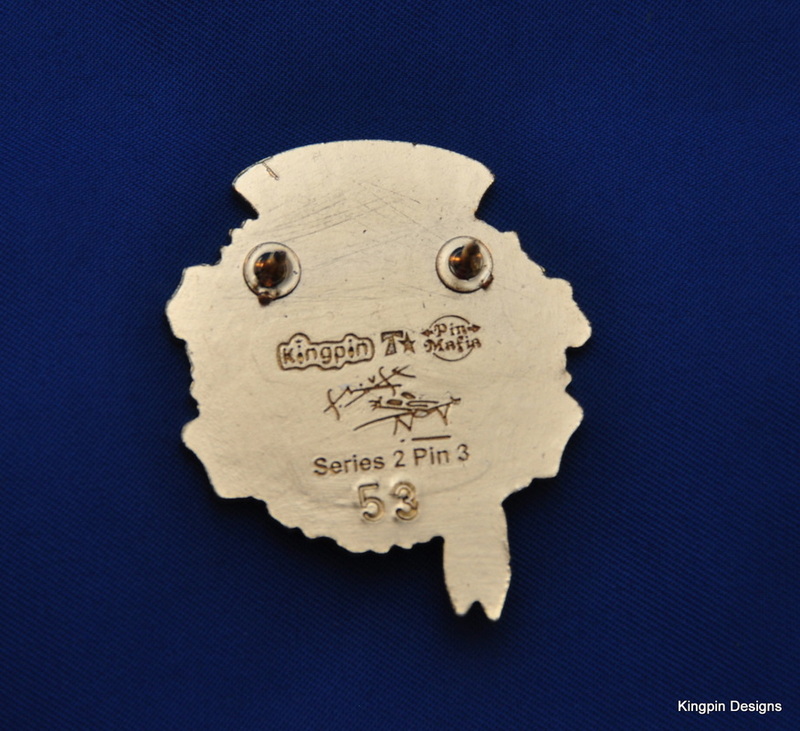 Also Stamped on the back with "Series 3 Pin 5"
Finished in gold plating, 2 backs, numbered out of 500, stamped with Stanley Mouse's signature, the Kingpin Designs Logo and Tripp Shealy's logo. 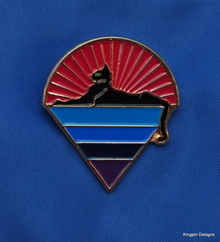 Measures 1.5 inches top to bottom. 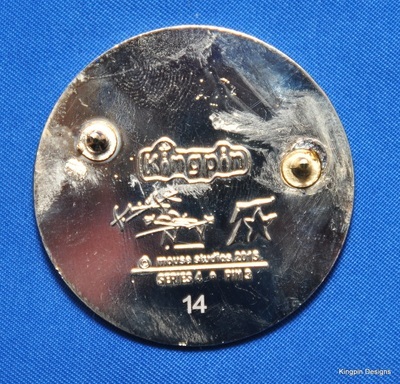 Also Stamped on the back with "Series 4 Pin 1"
Finished in gold plating, 2 backs, numbered out of 500, stamped with Stanley Mouse's signature, the Kingpin Designs Logo and Tripp Shealy's logo. 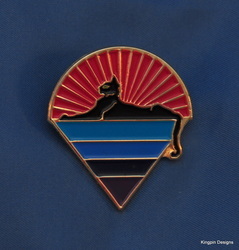 Measures 1.5 inches top to bottom. 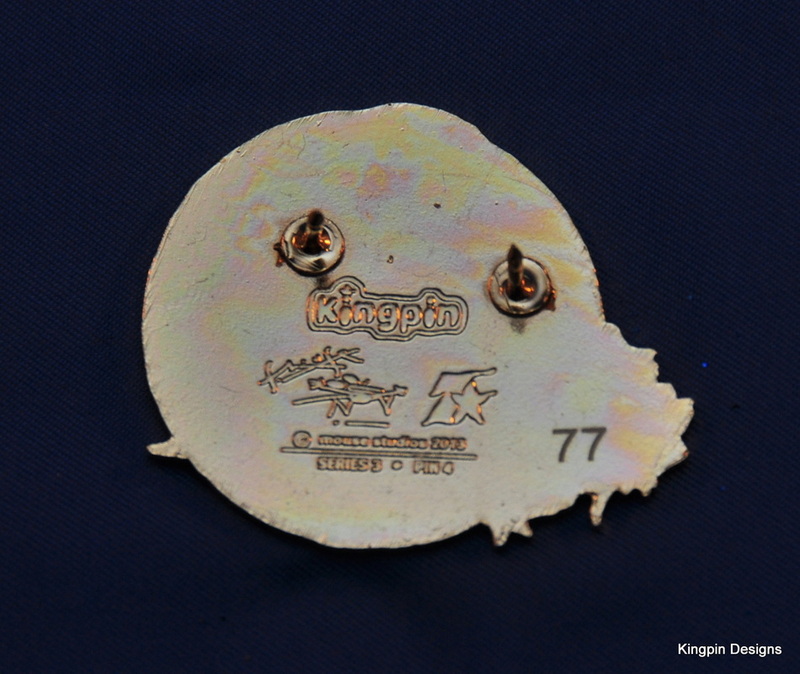 Also Stamped on the back with "Series 4 Pin 2"
Finished in gold plating, 2 backs, numbered out of 500, stamped with Stanley Mouse's signature, the Kingpin Designs Logo and Tripp Shealy's logo. 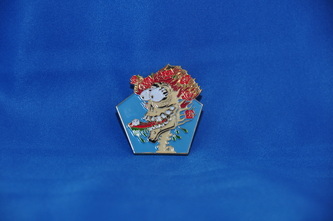 Measures 1.5 inches top to bottom. Also Stamped on the back with "Series 4 Pin 3"
Finished in gold plating, 2 backs, numbered out of 500, stamped with Stanley Mouse's signature, the Kingpin Designs Logo and Tripp Shealy's logo. 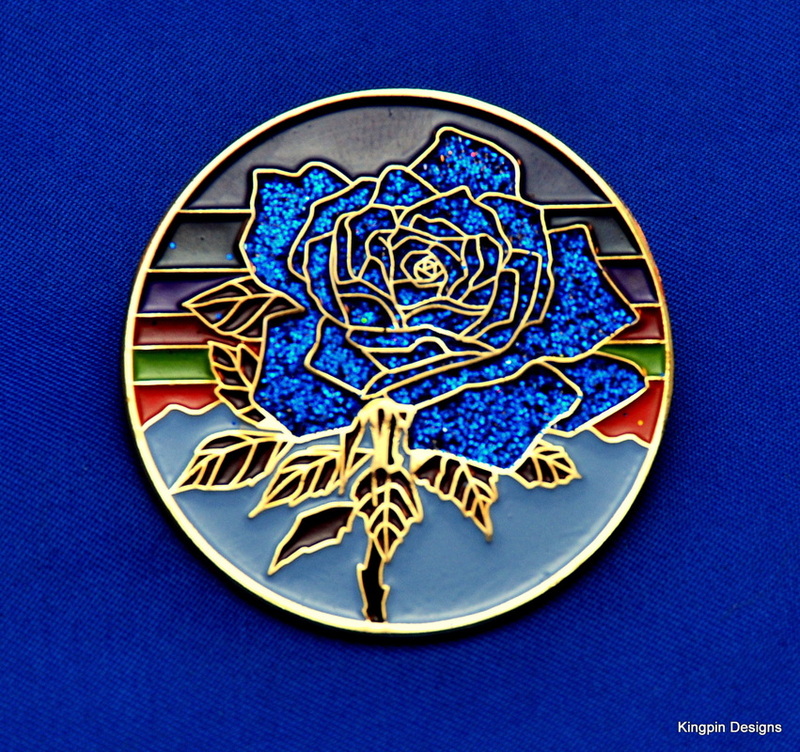 Measures 1.5 inches top to bottom. 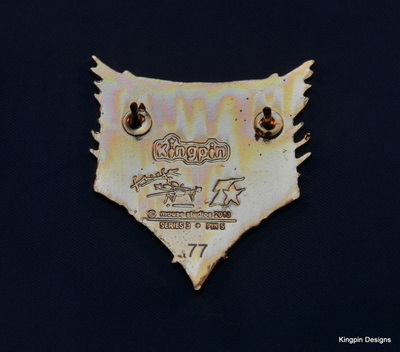 Also Stamped on the back with "Series 4 Pin 4"
Finished in gold plating, 2 backs, numbered out of 500, stamped with Stanley Mouse's signature, the Kingpin Designs Logo and Tripp Shealy's logo. 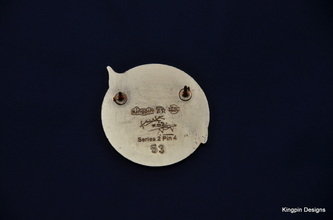 Measures 1.5 inches top to bottom. Also Stamped on the back with "Series 4 Pin 5"
Stanley Mouse Series 1 Pins. 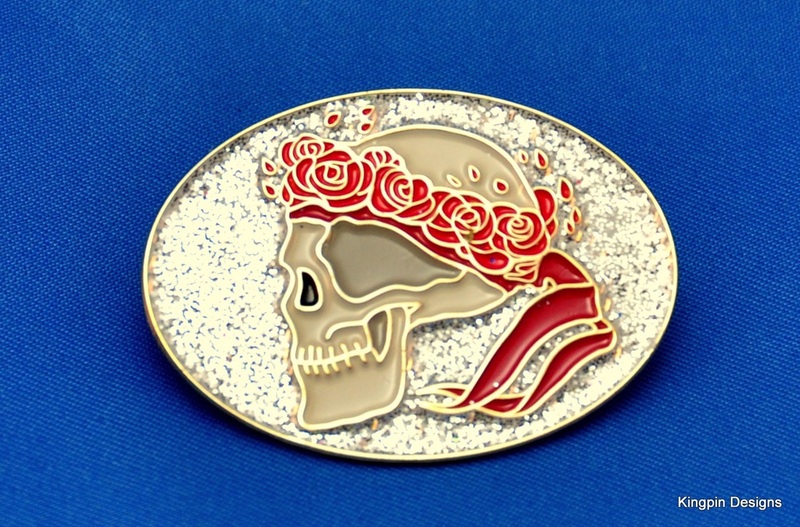 ALL SERIES 1 PINS ARE SOLD OUT!! 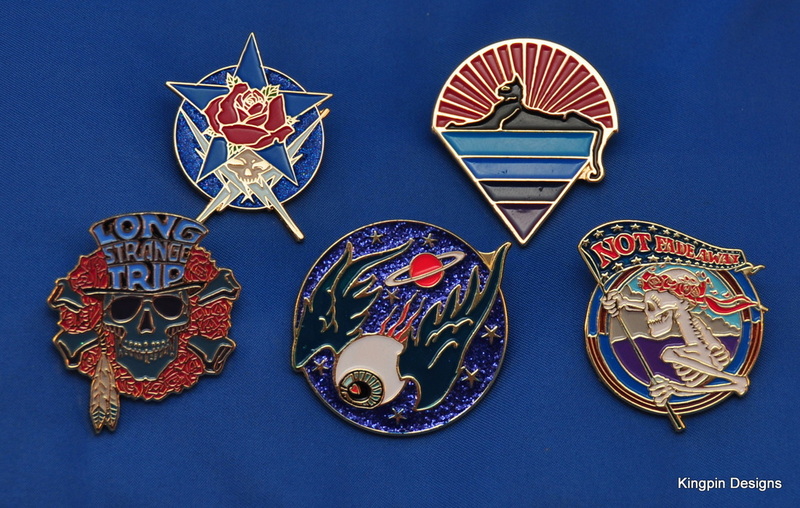 The pictures below are for reference purposes only.